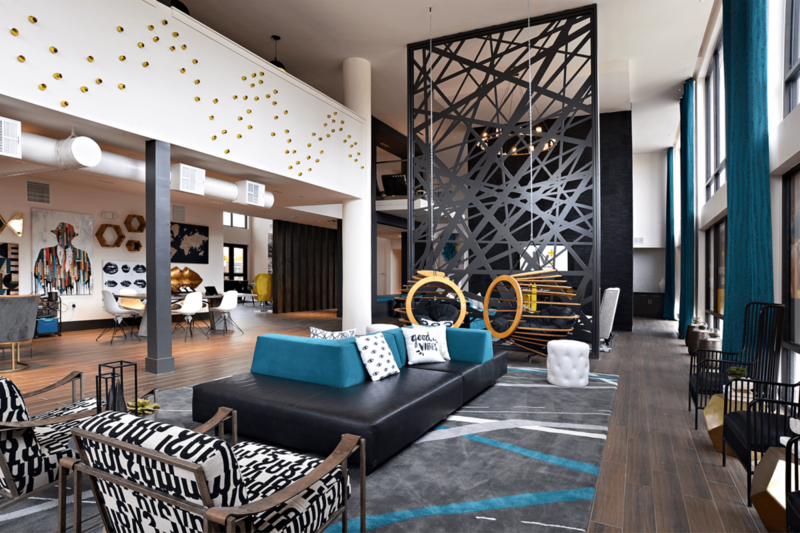 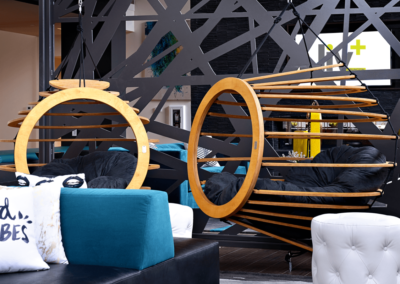 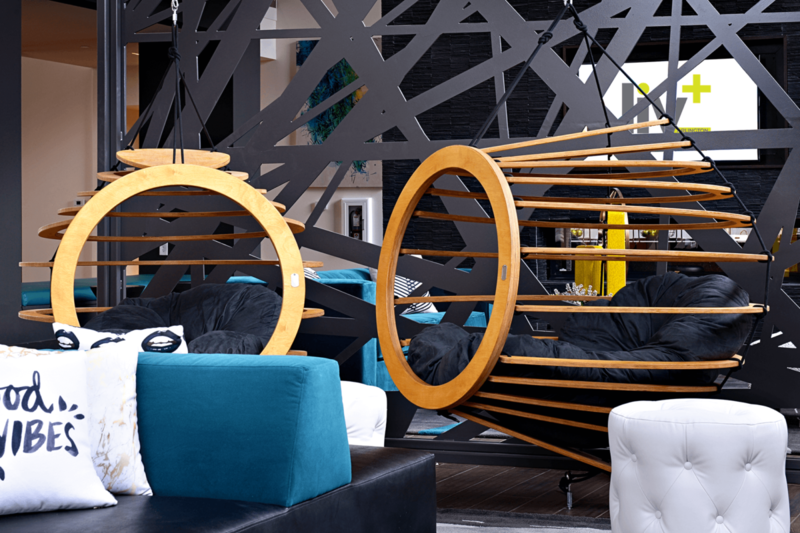 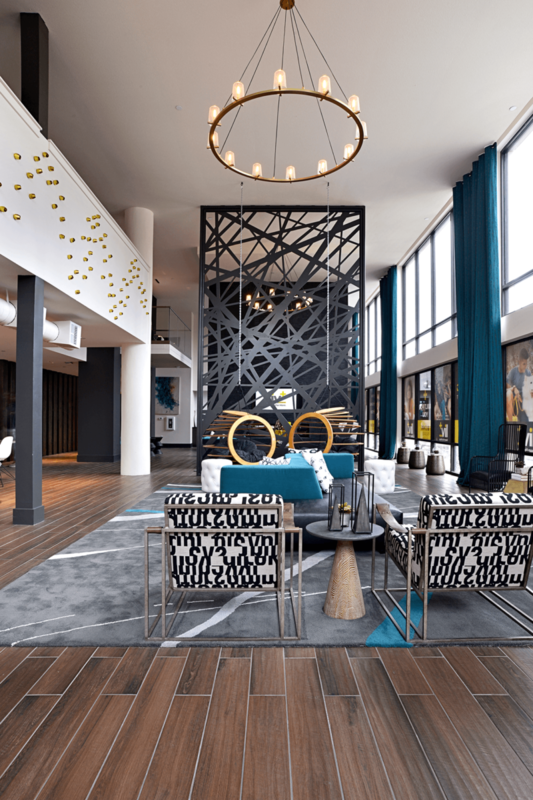 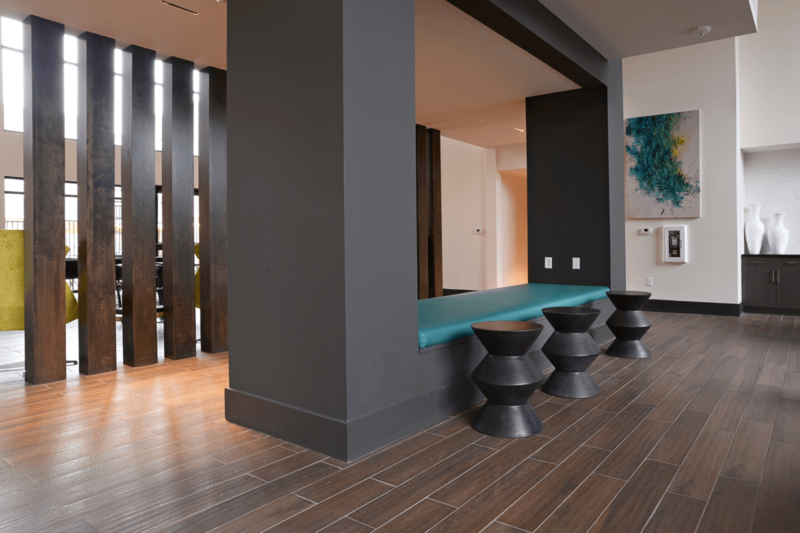 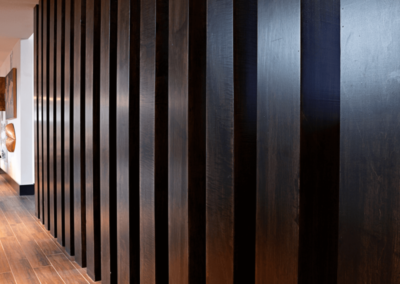 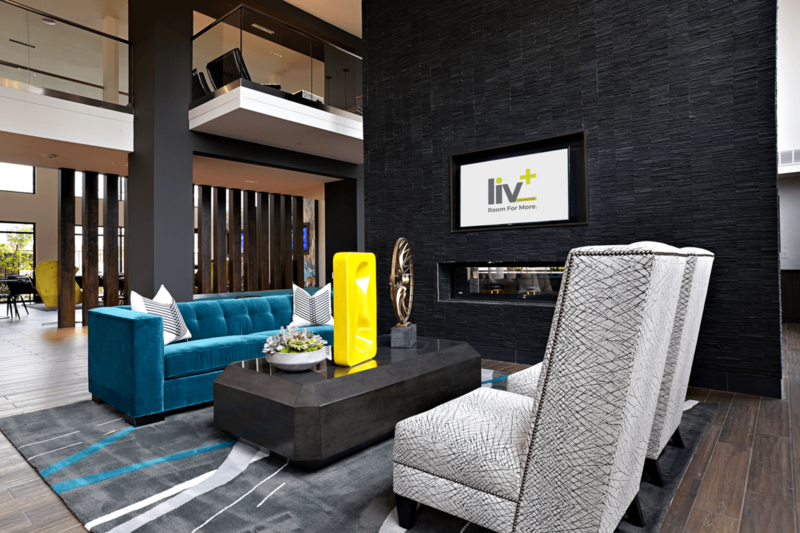 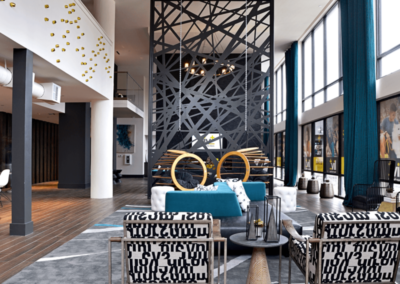 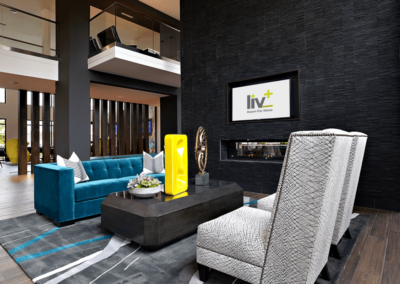 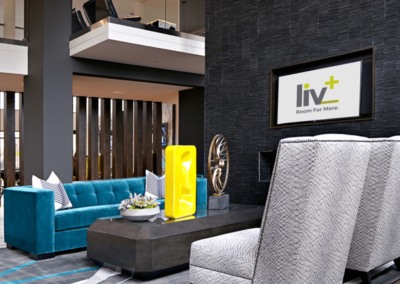 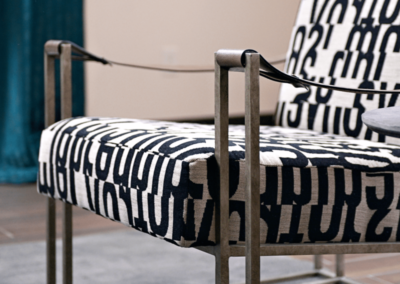 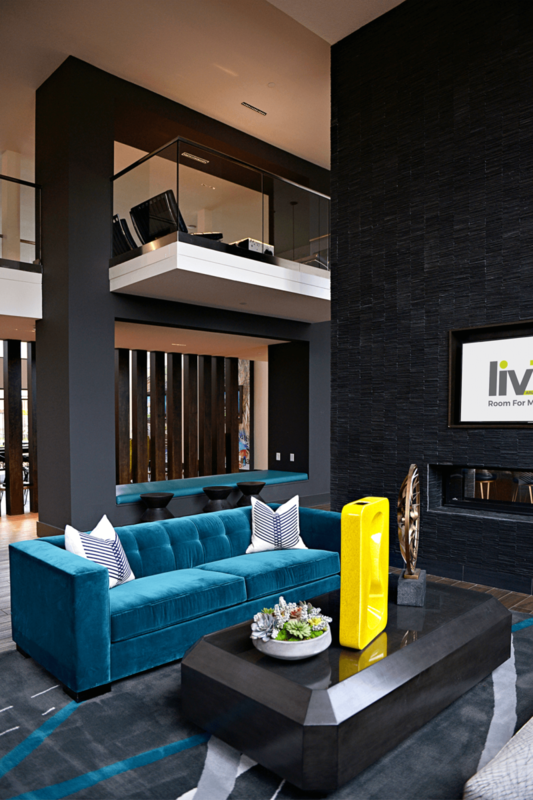 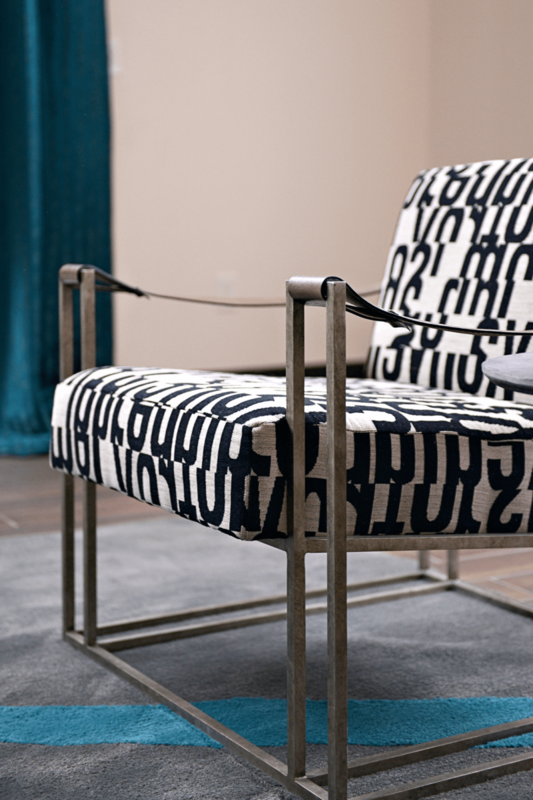 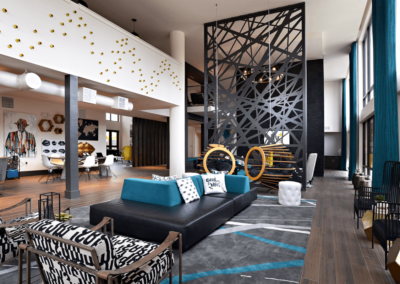 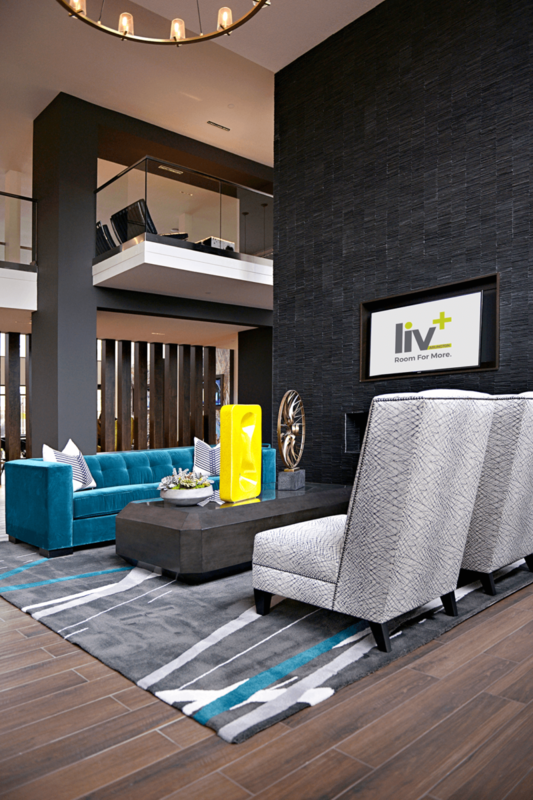 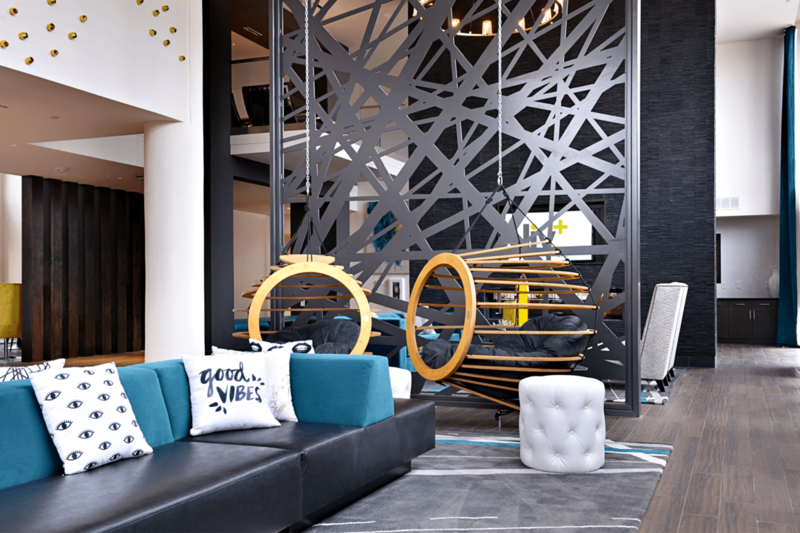 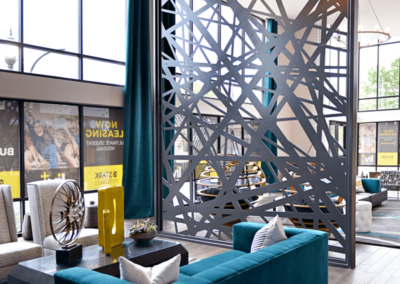 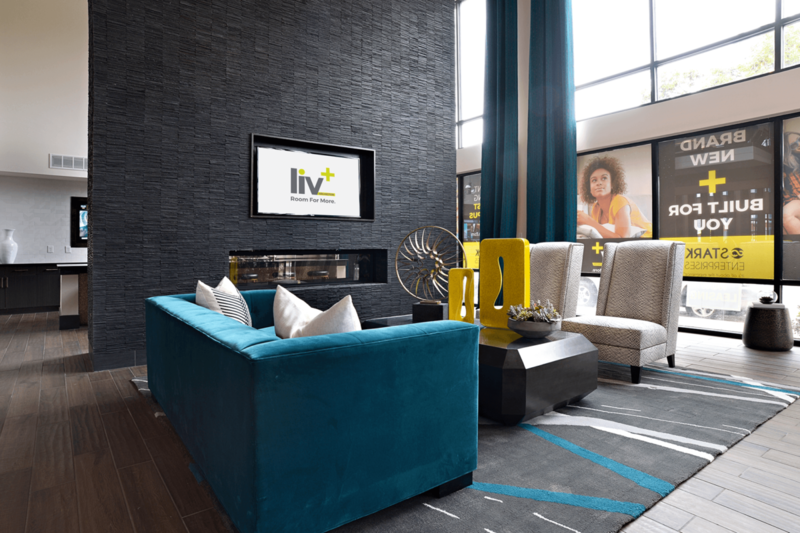 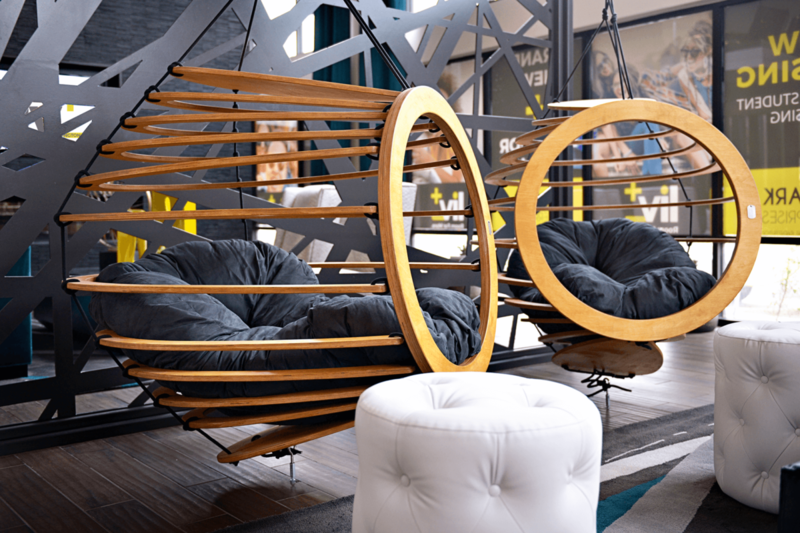 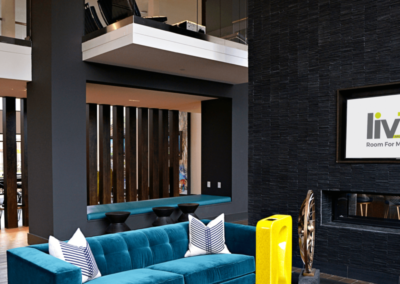 At Liv+, our brand-new apartments have everything you need and more. 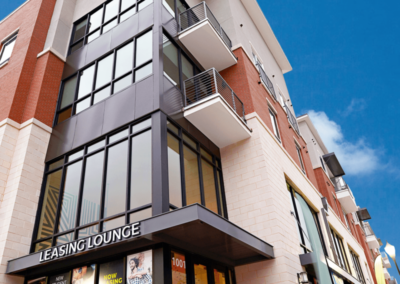 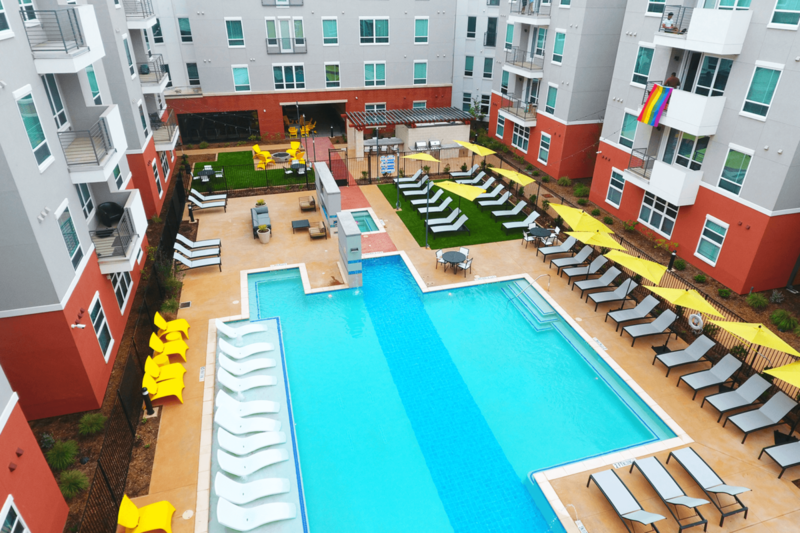 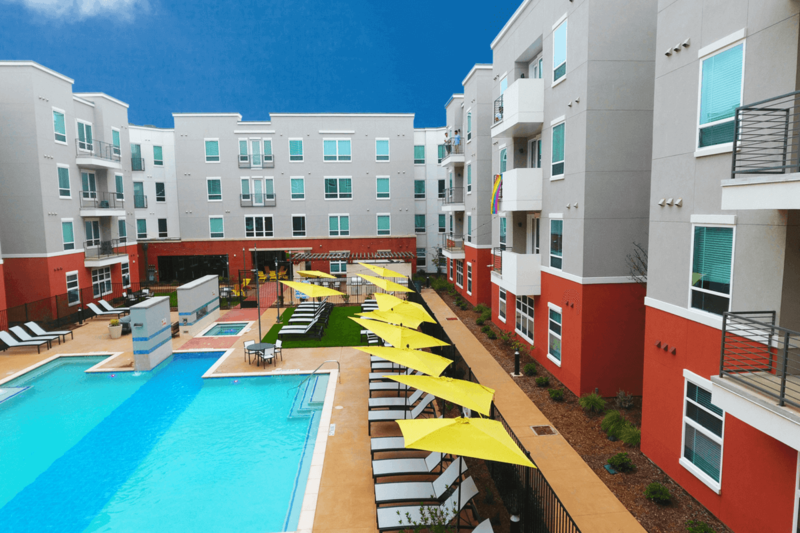 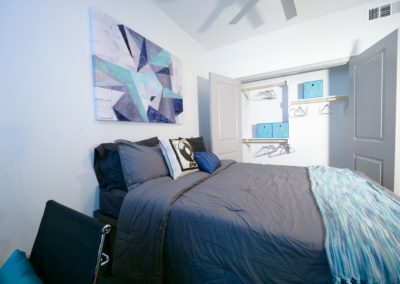 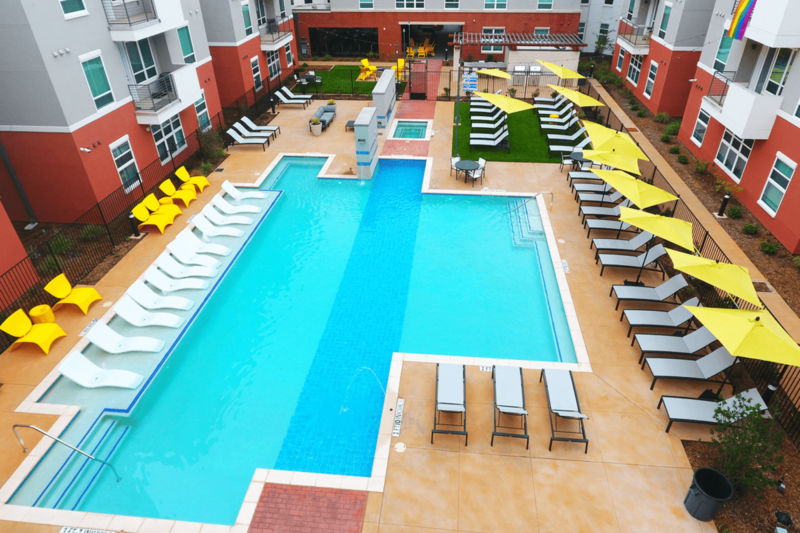 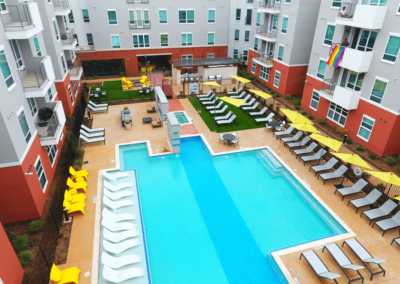 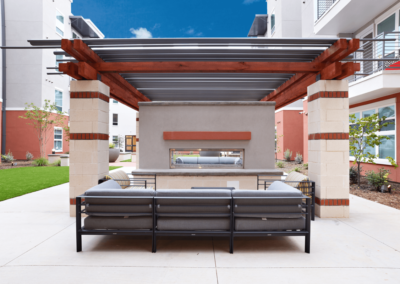 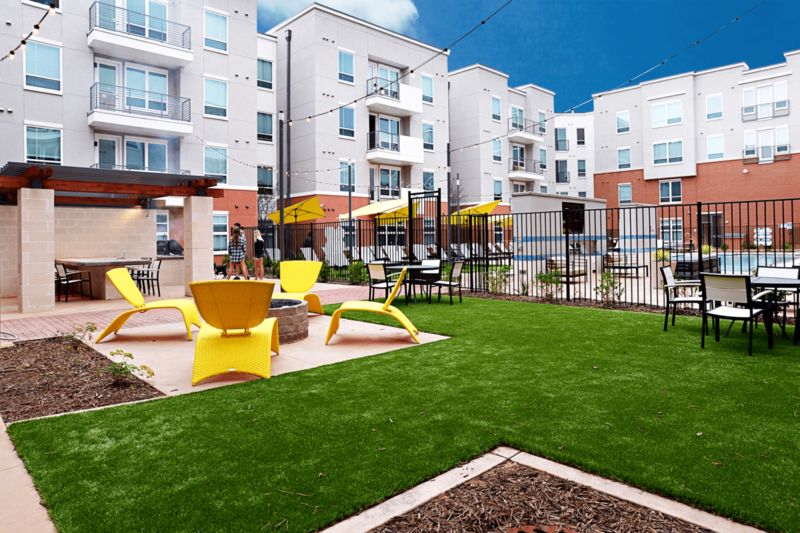 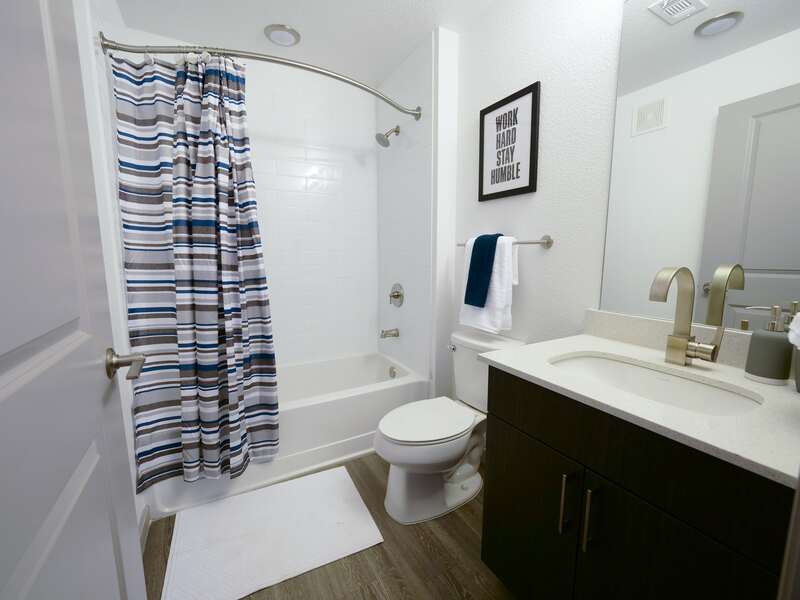 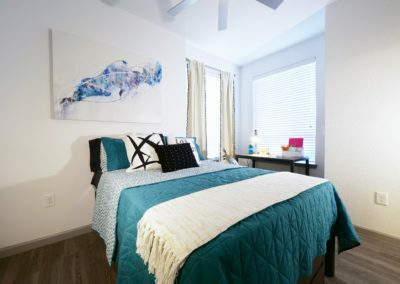 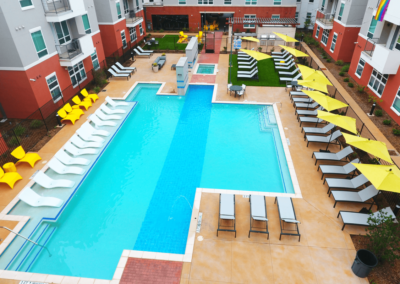 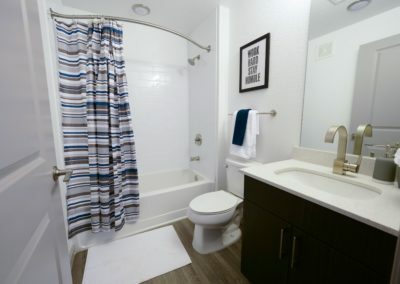 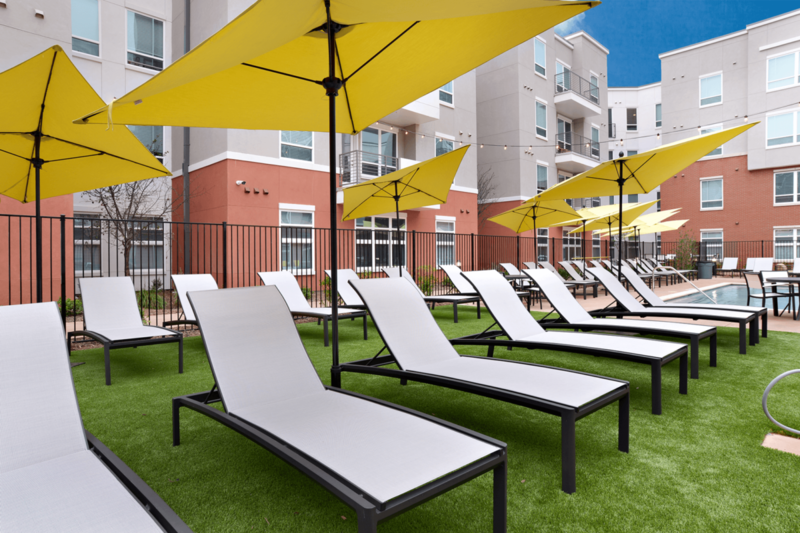 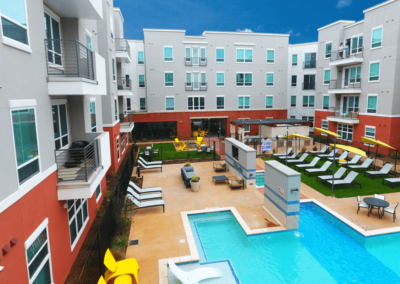 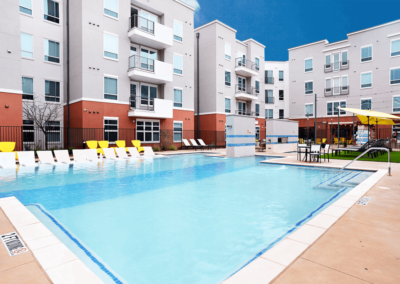 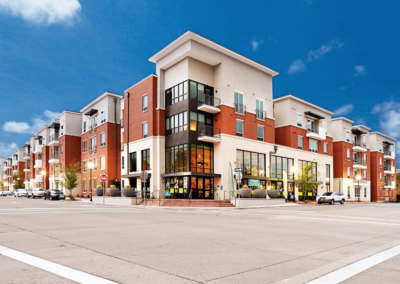 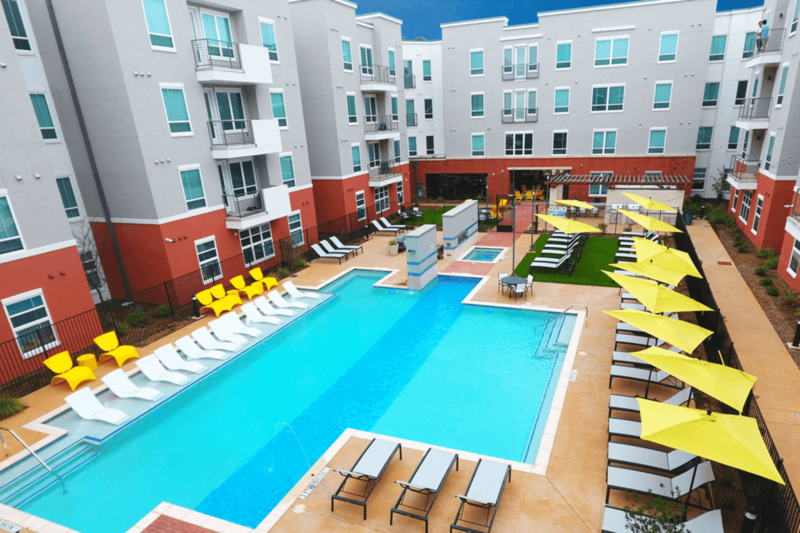 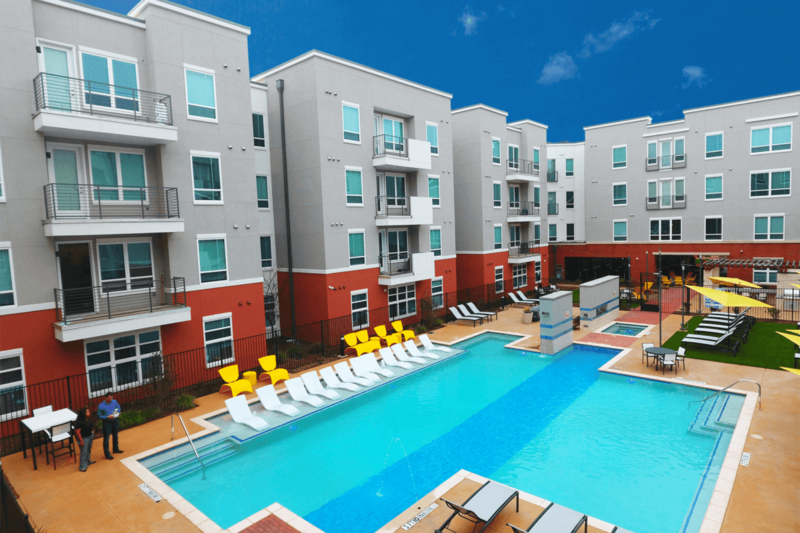 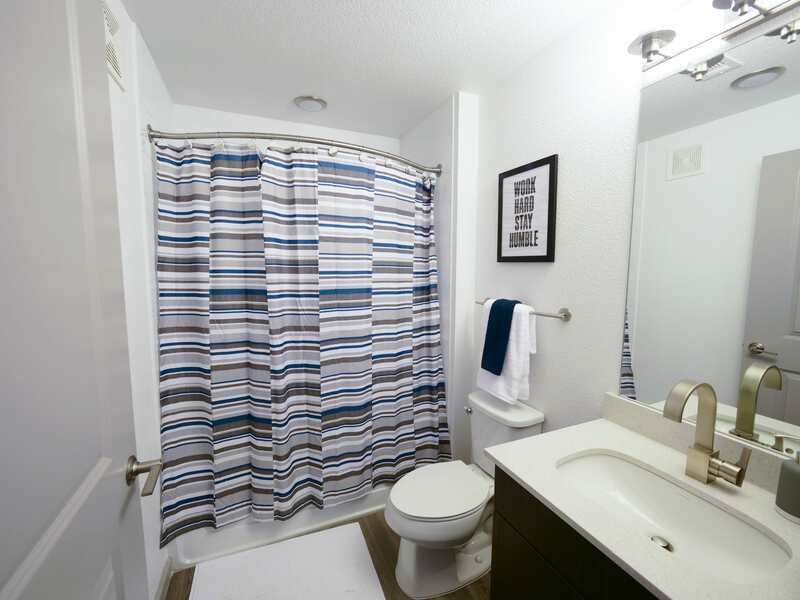 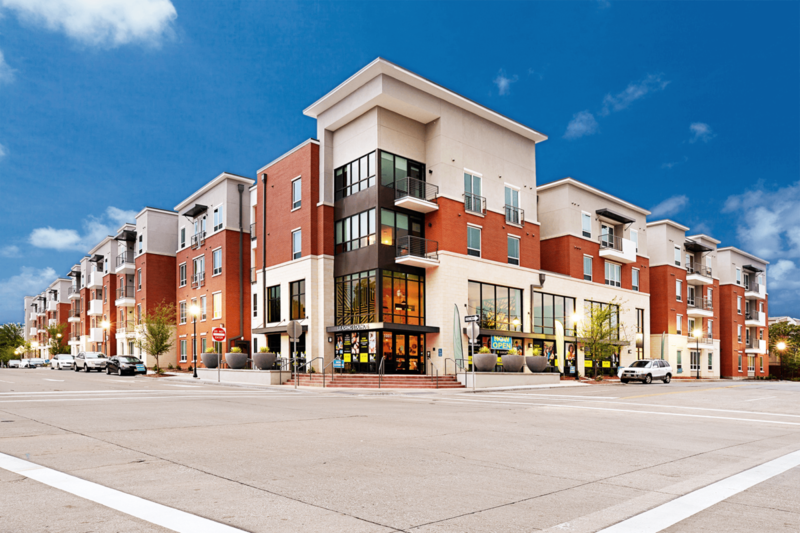 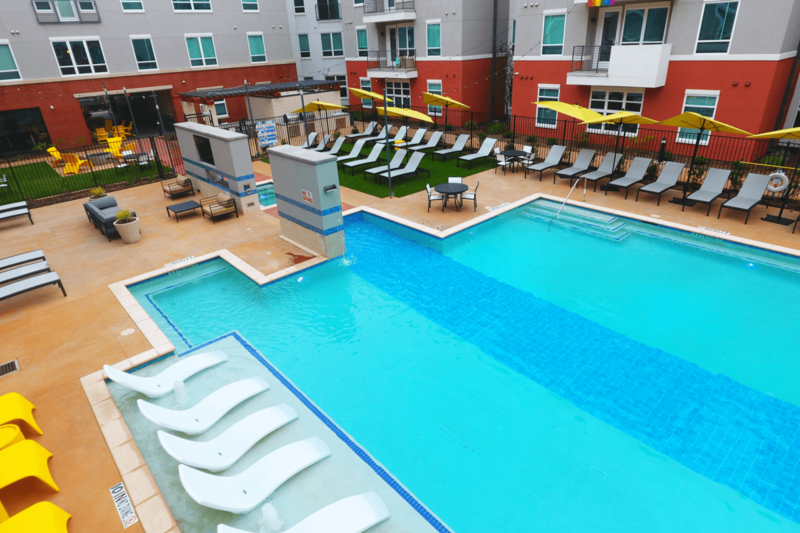 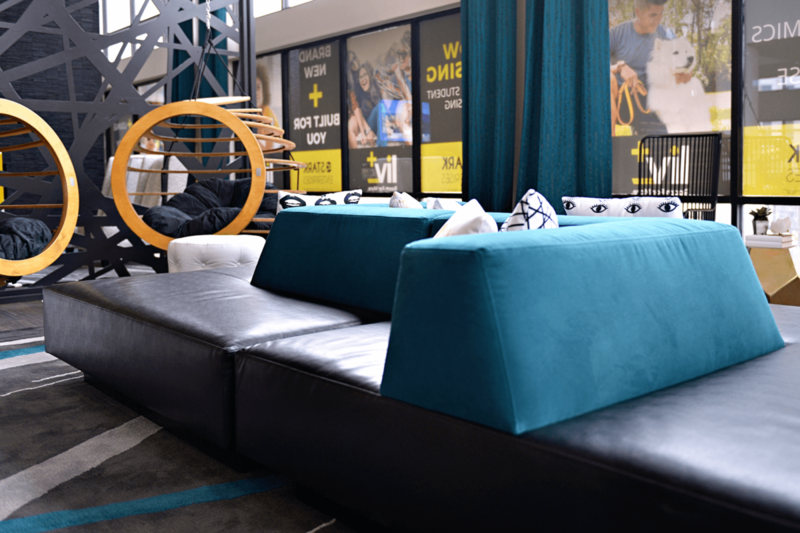 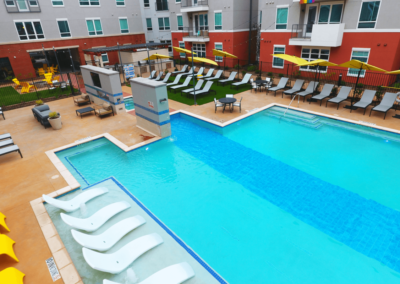 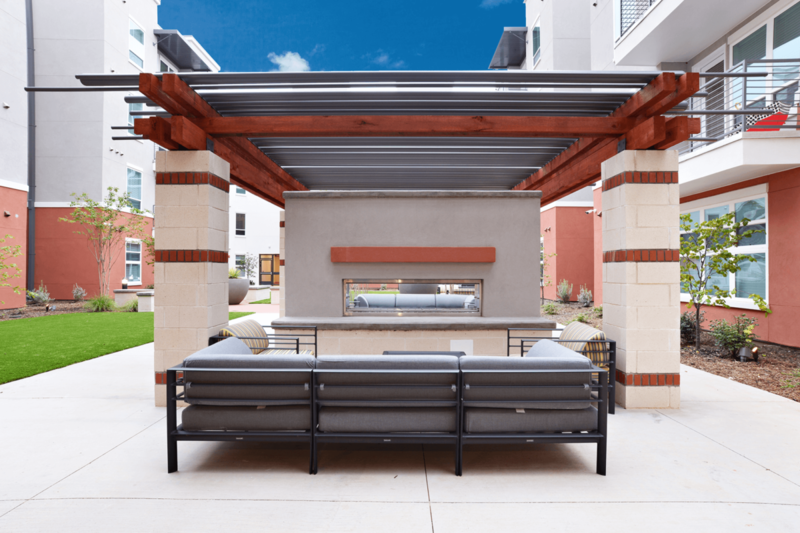 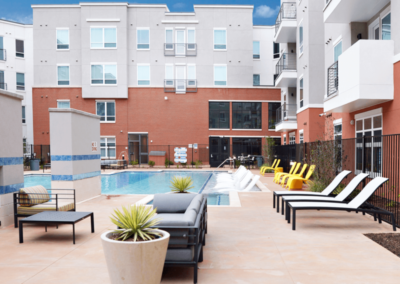 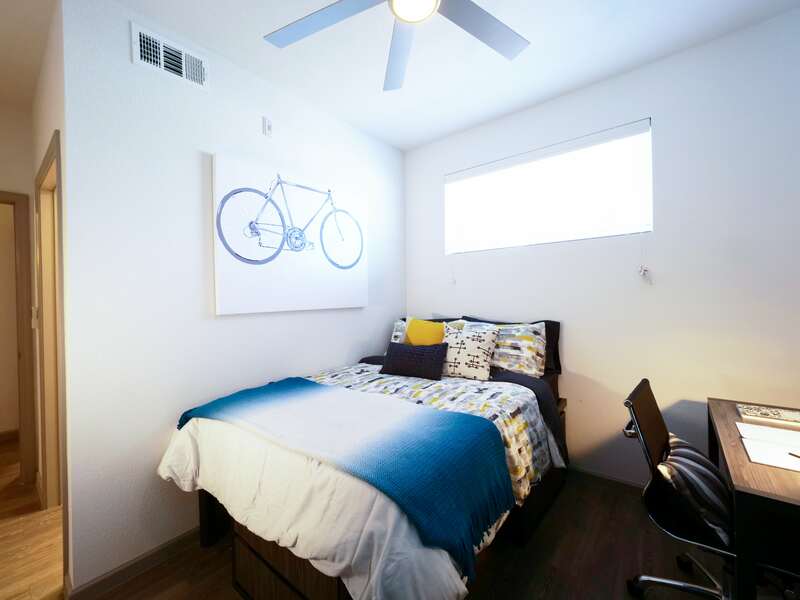 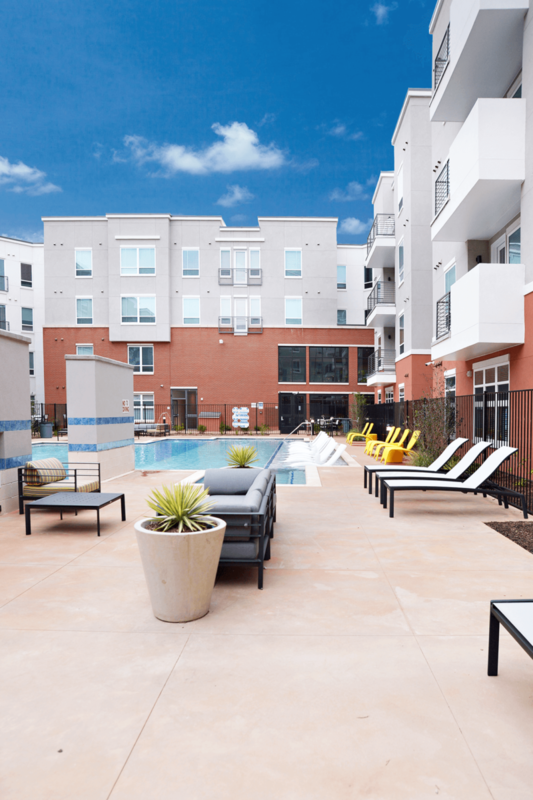 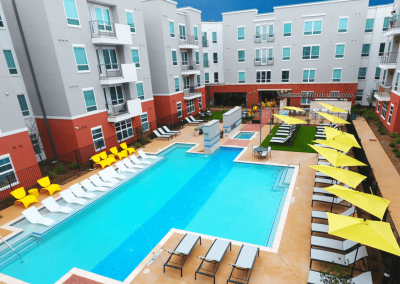 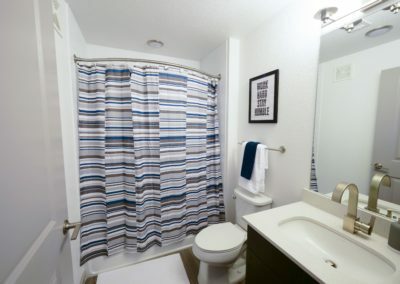 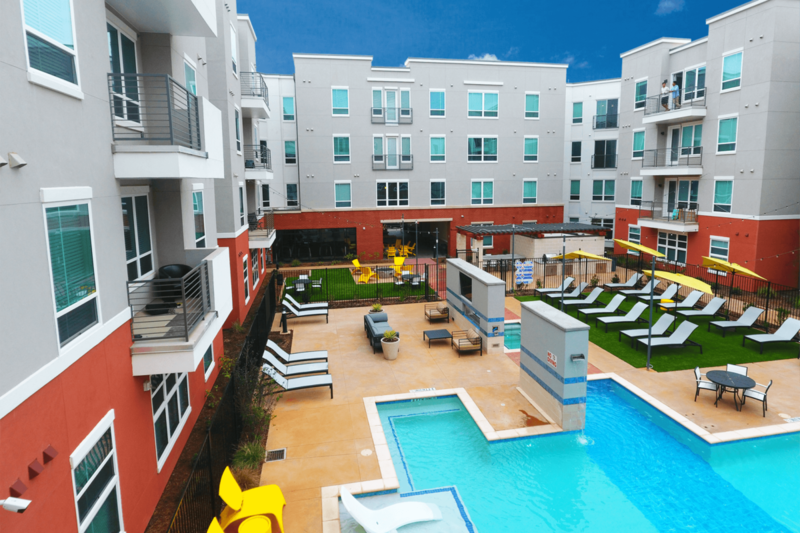 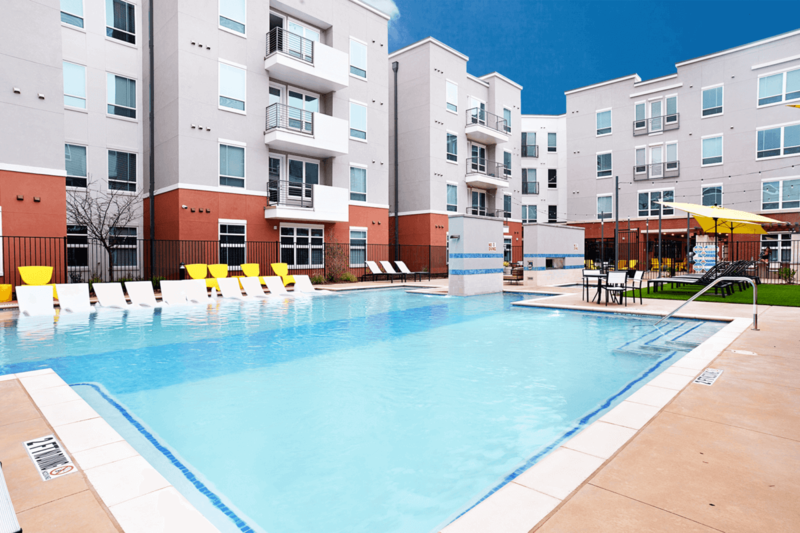 Plus, our incredible location means you’re always just steps from campus, retail, local restaurants, and nightlife. 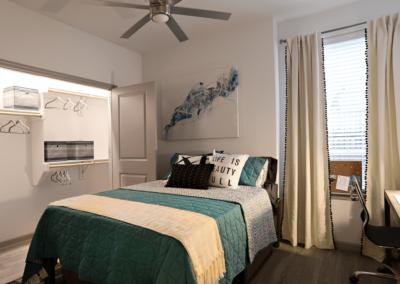 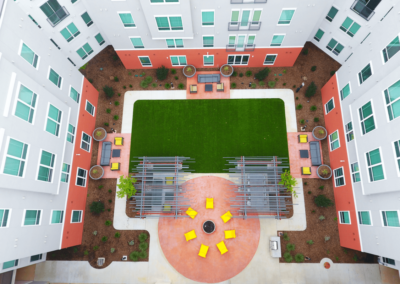 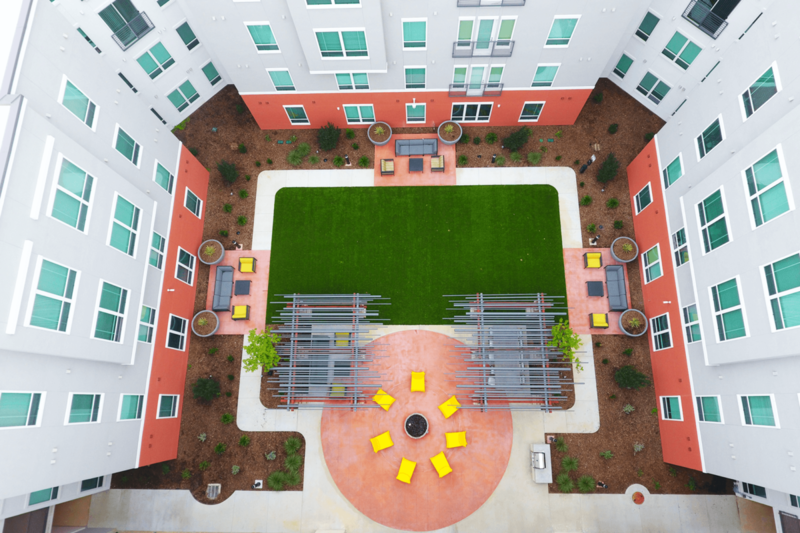 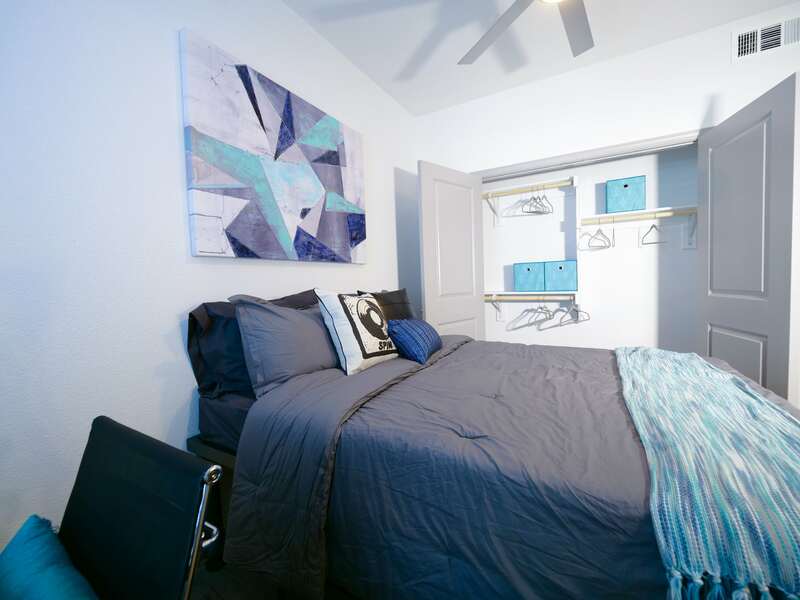 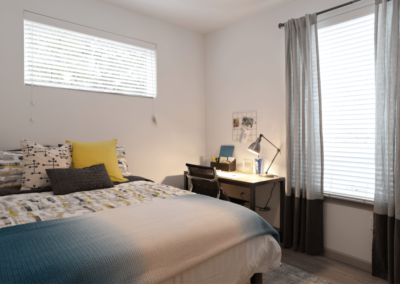 Get a peek at what it will be like to live in our great student community in these pictures. 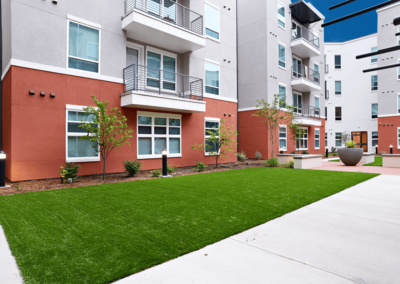 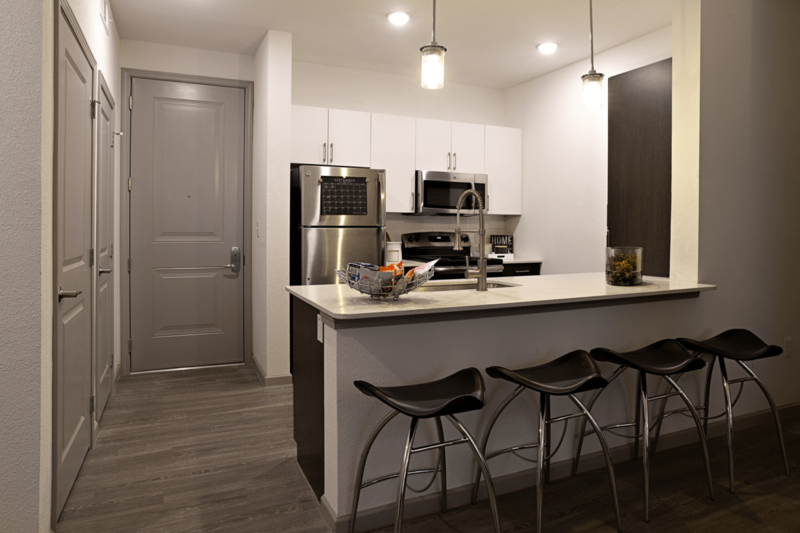 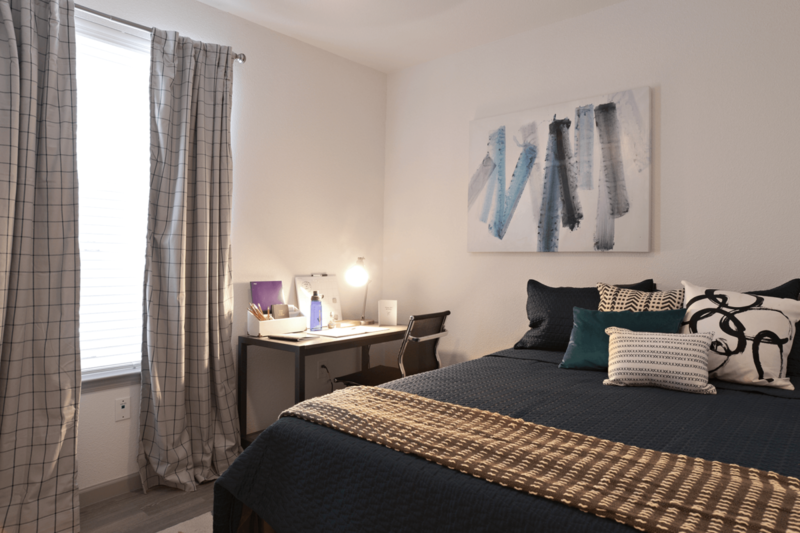 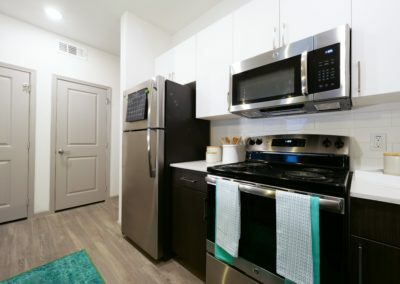 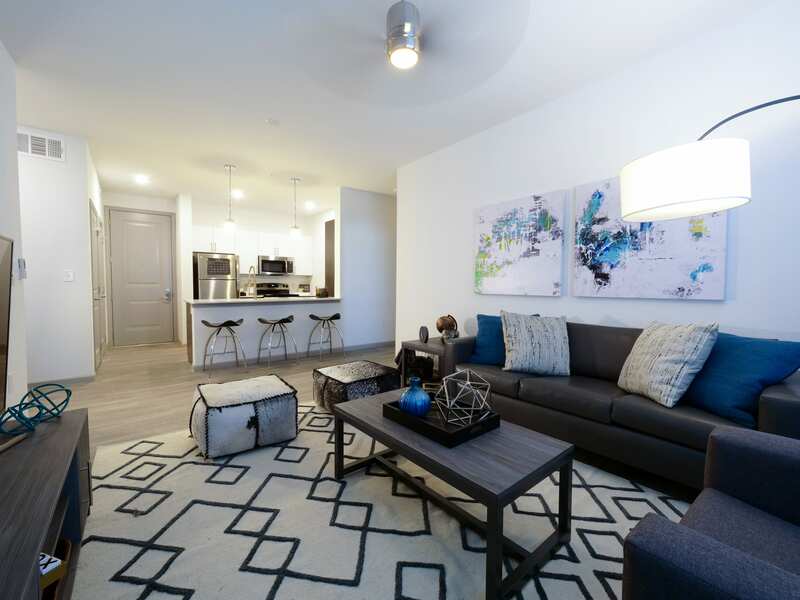 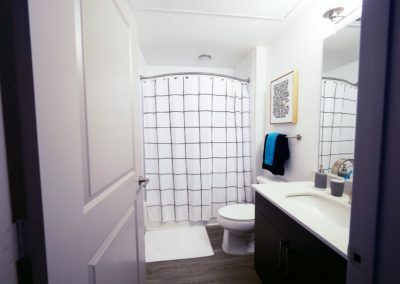 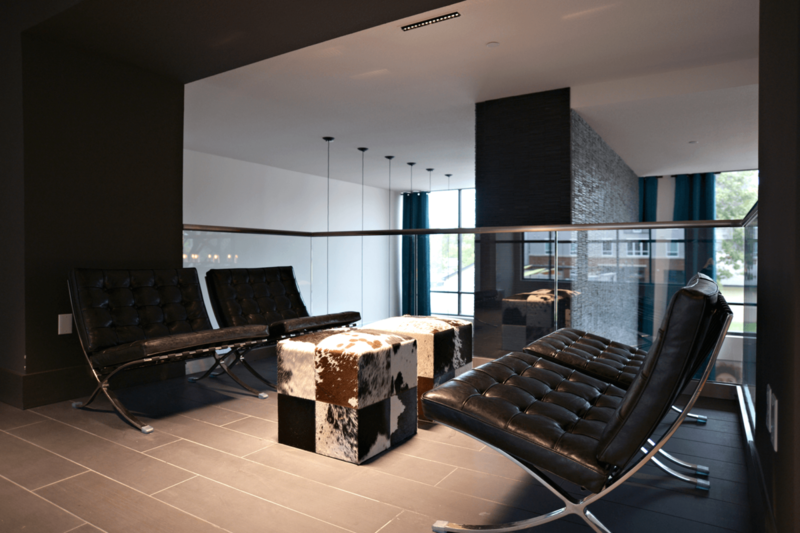 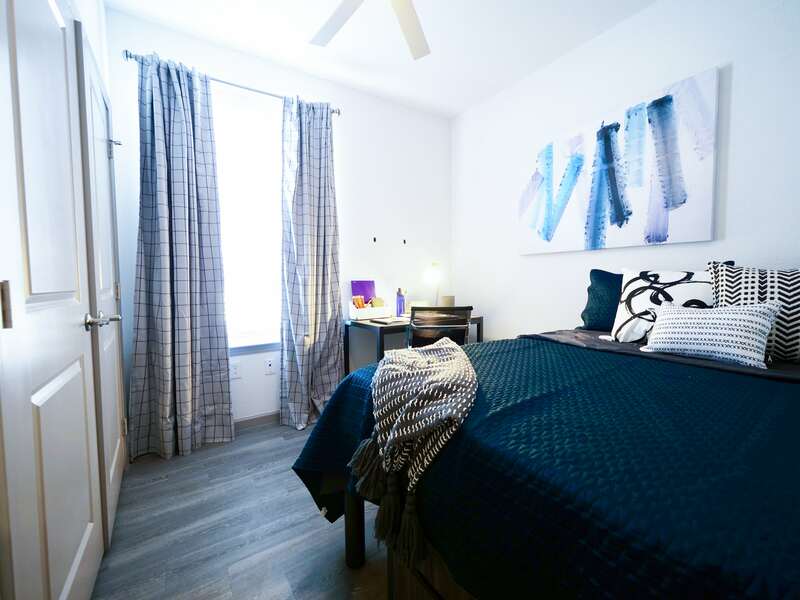 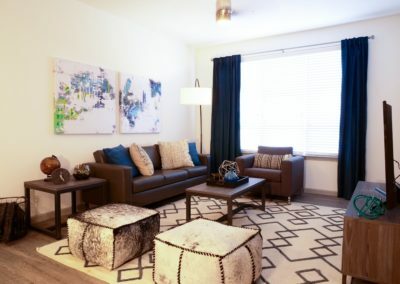 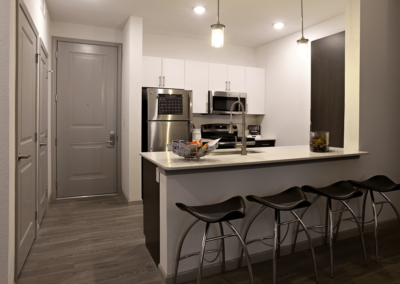 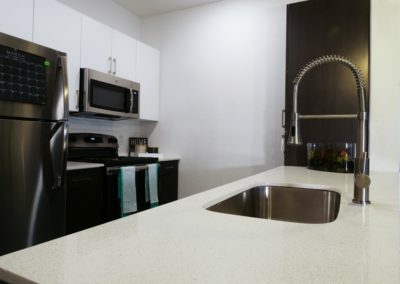 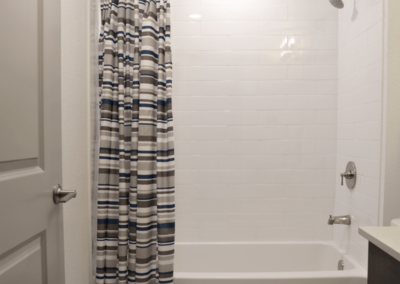 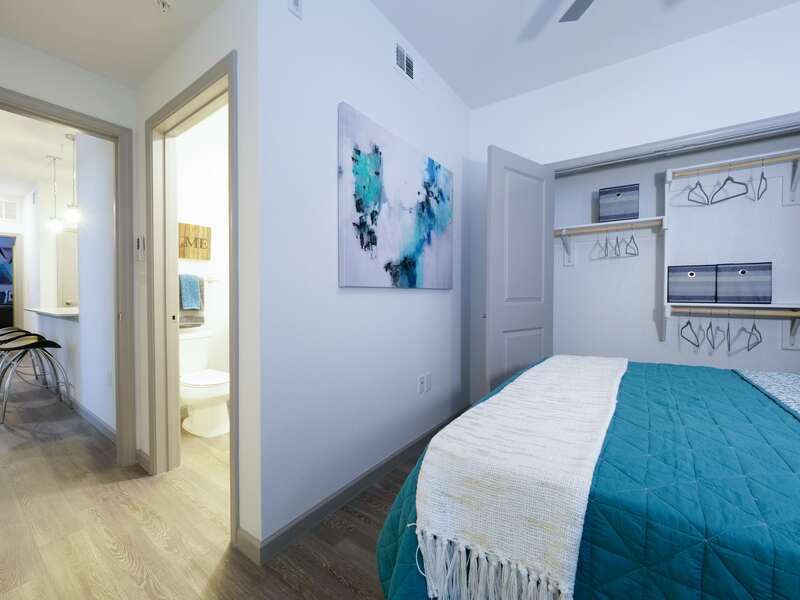 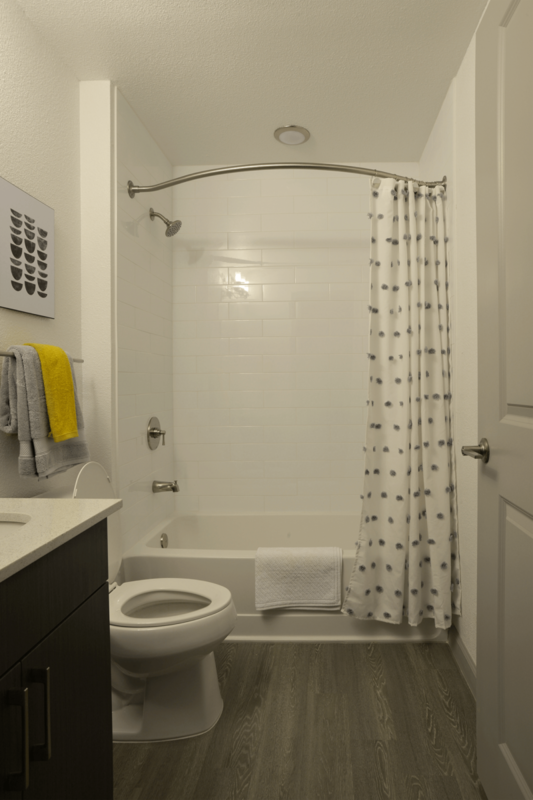 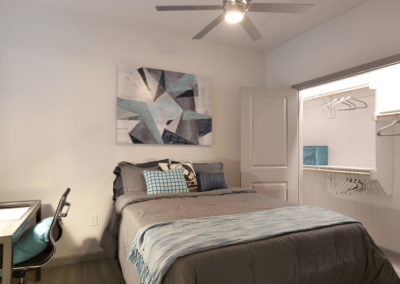 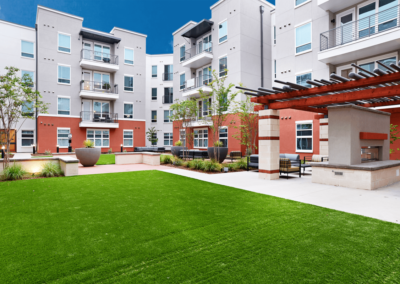 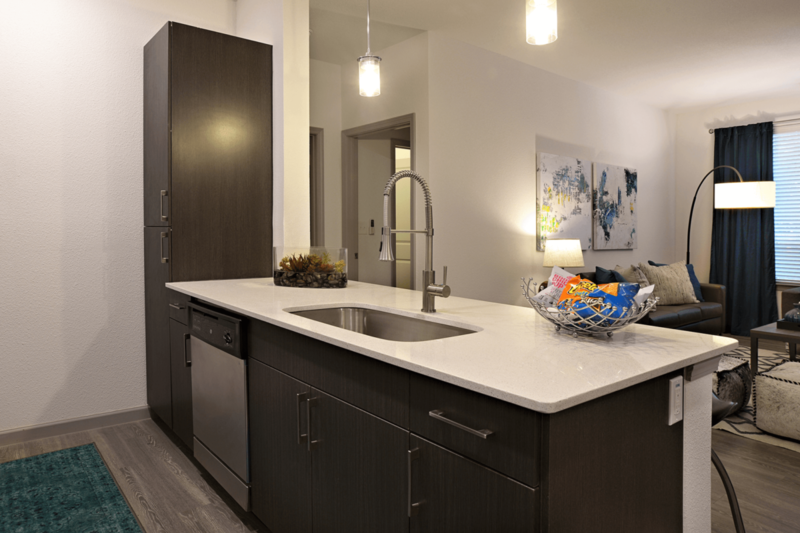 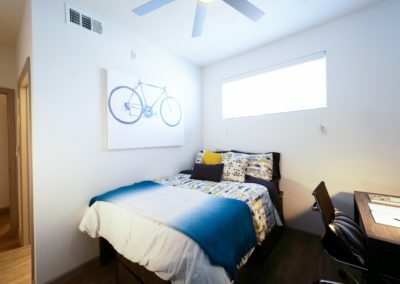 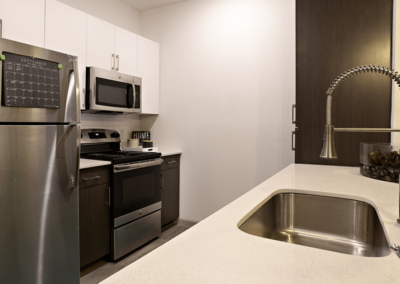 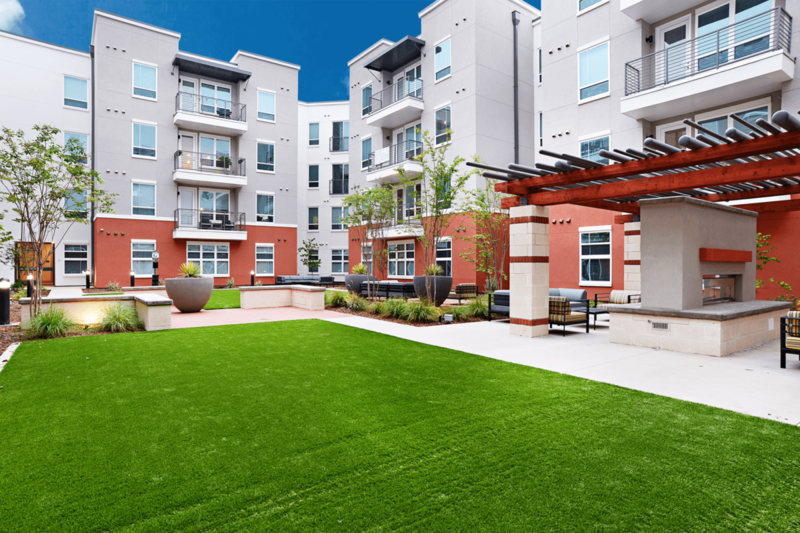 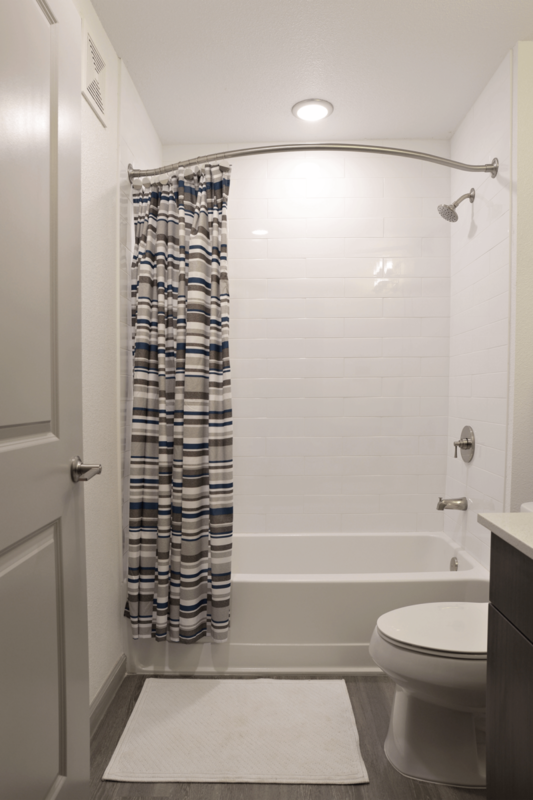 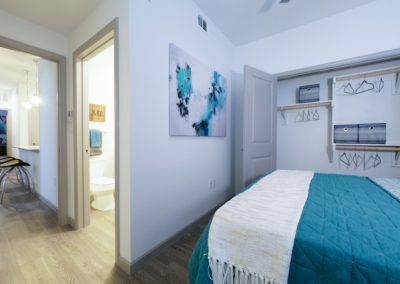 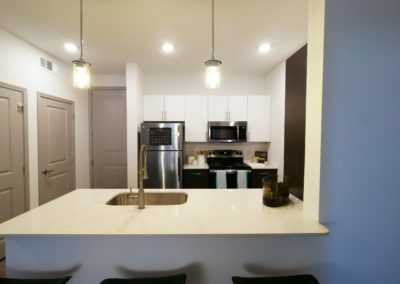 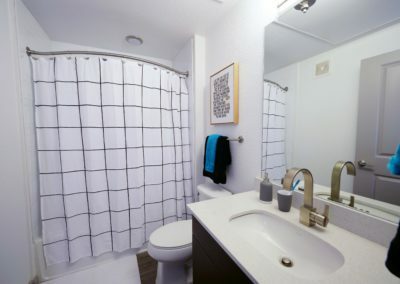 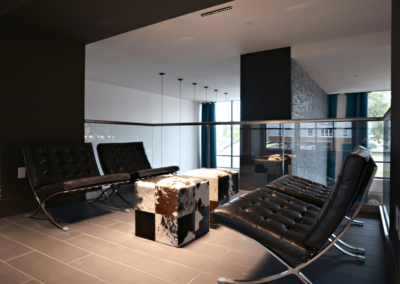 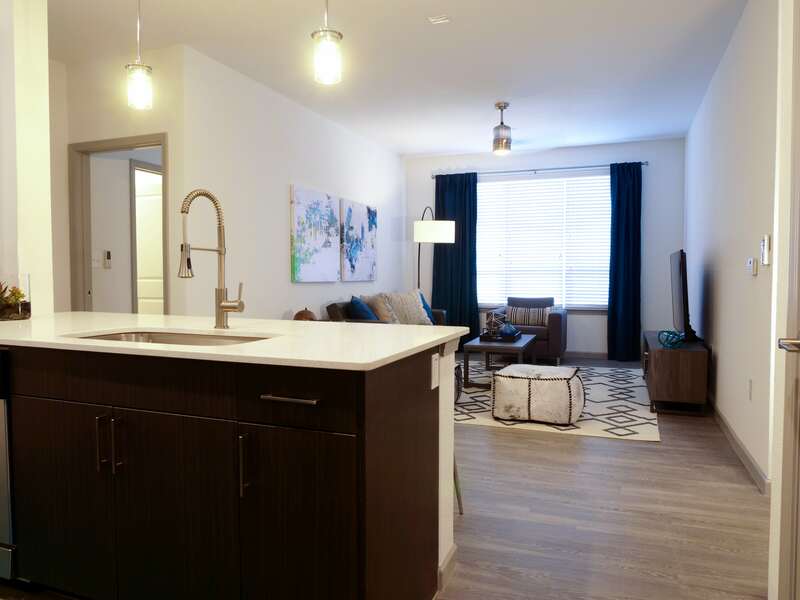 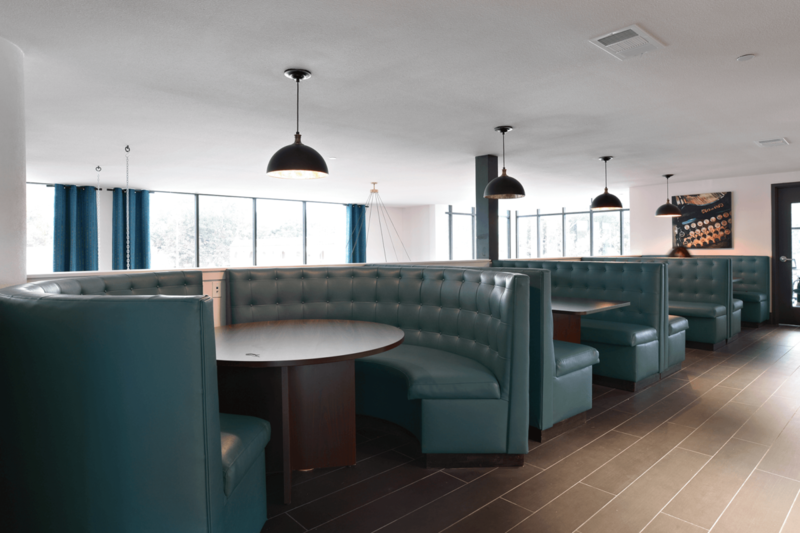 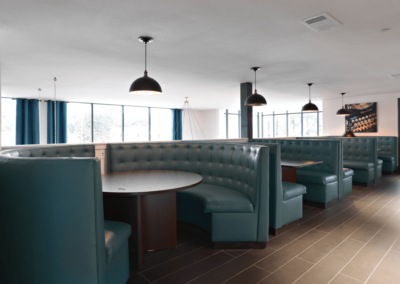 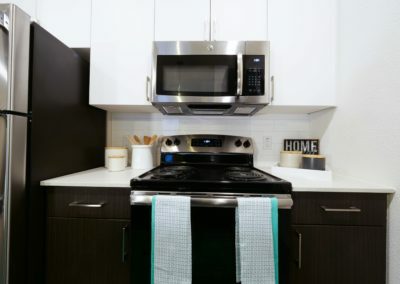 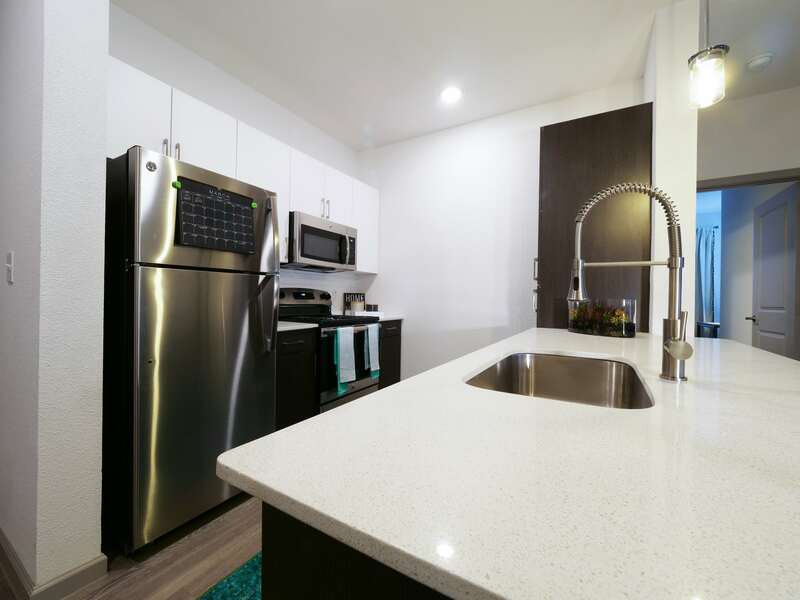 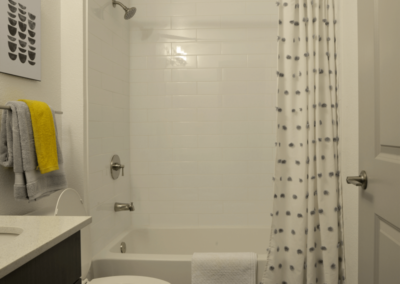 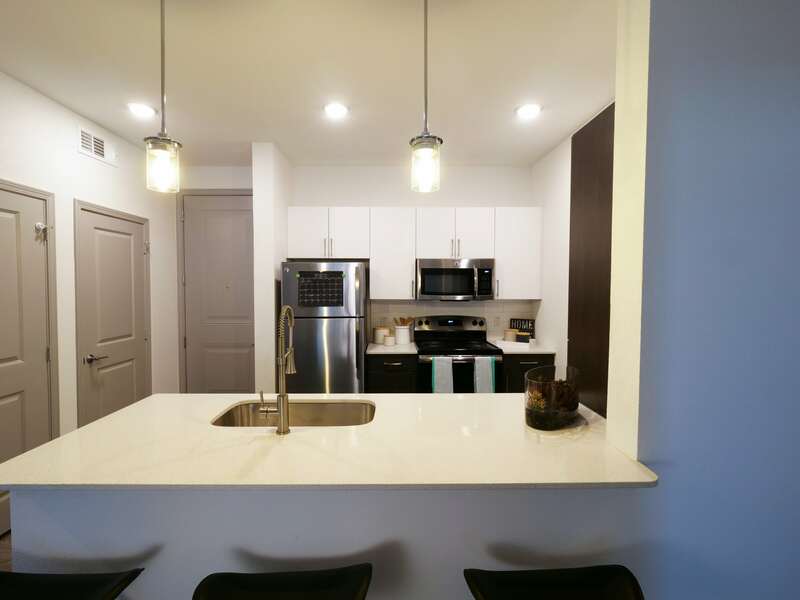 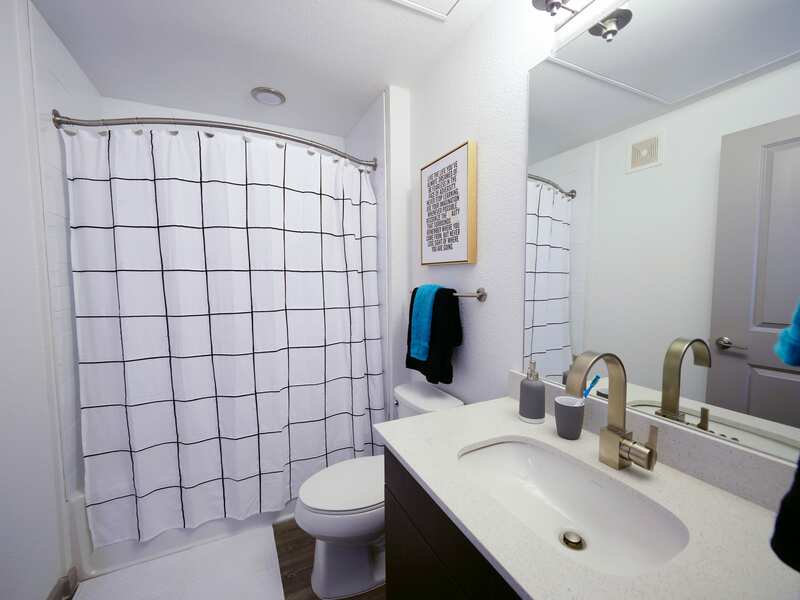 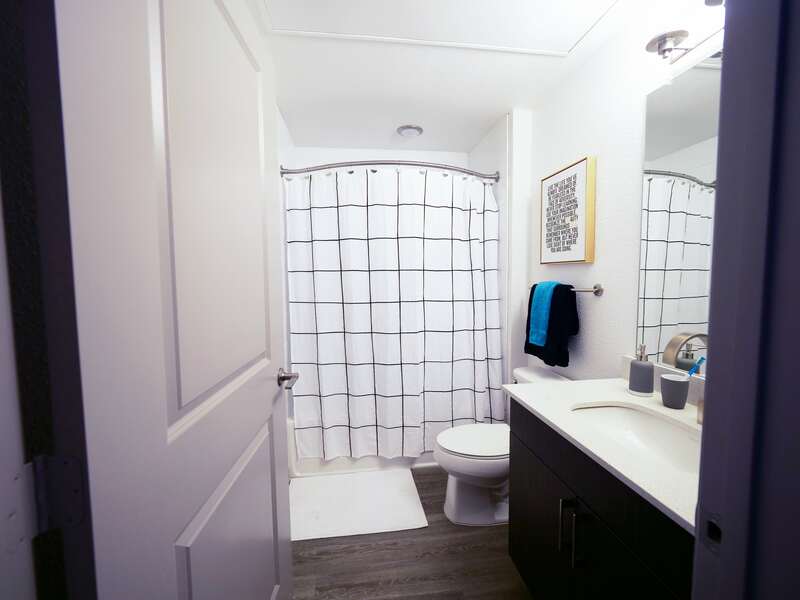 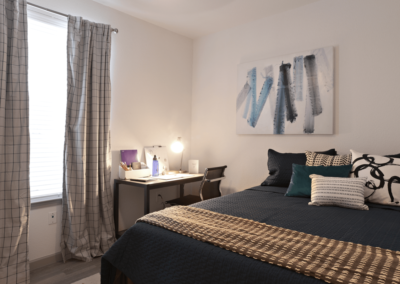 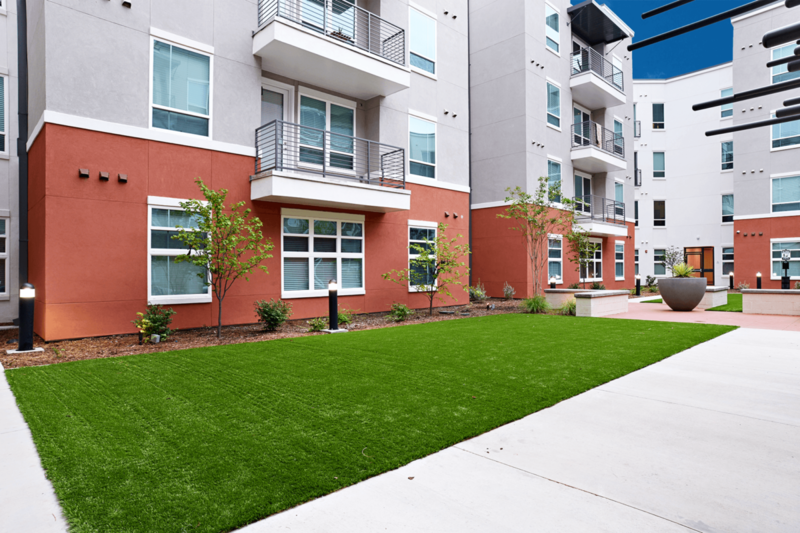 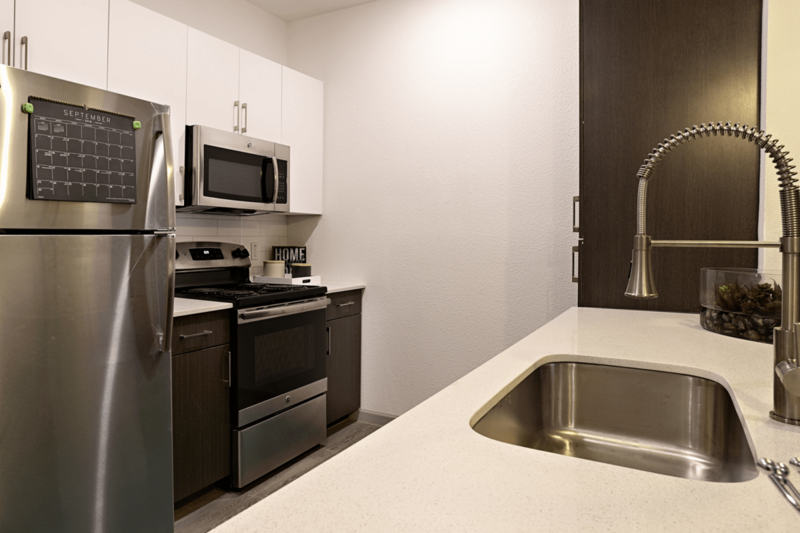 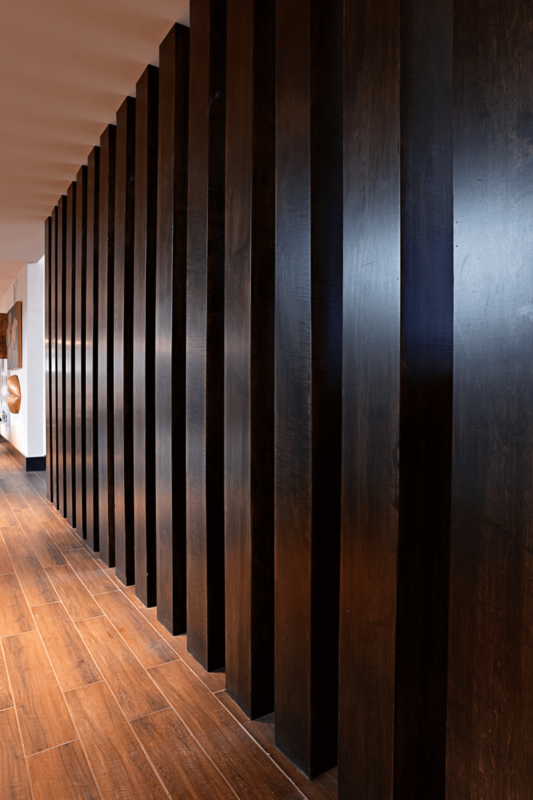 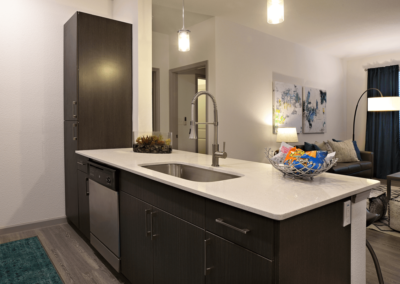 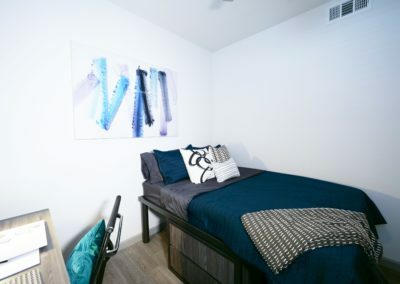 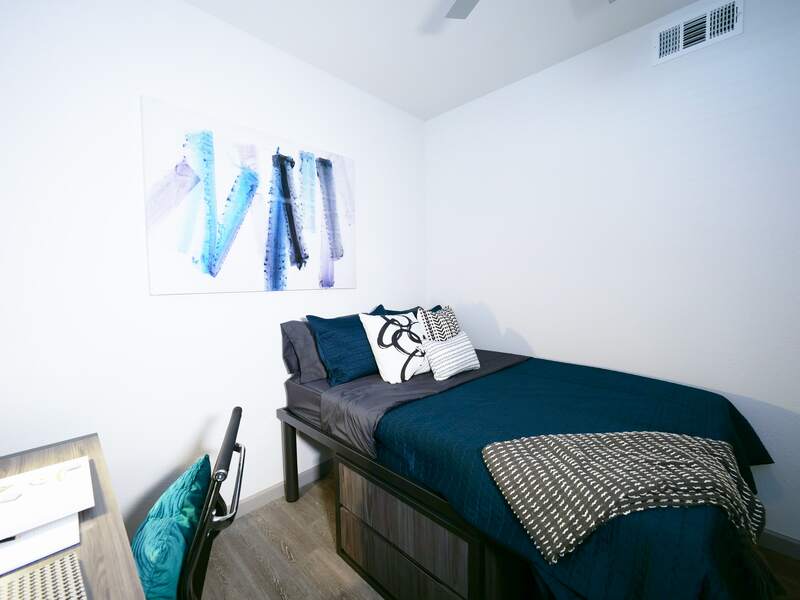 You’ll love living in a brand-new building, and enjoy modern living in our spacious apartments. 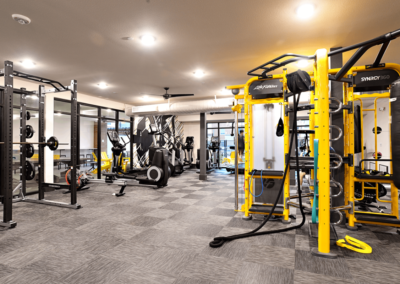 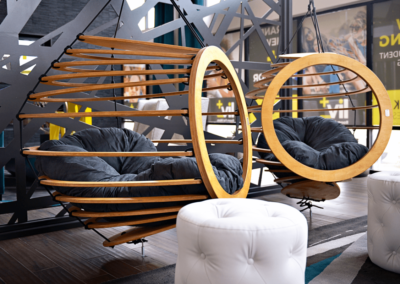 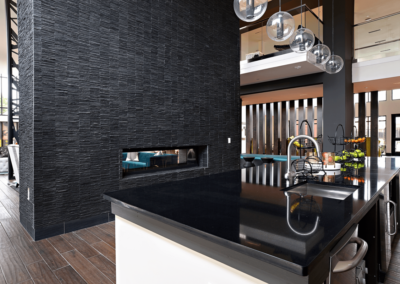 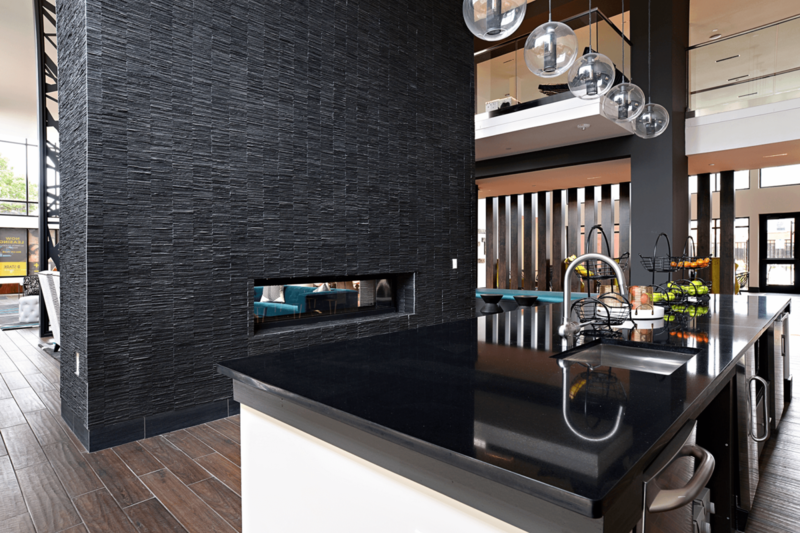 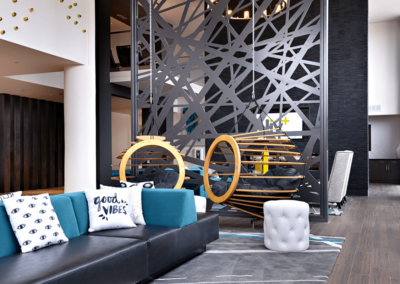 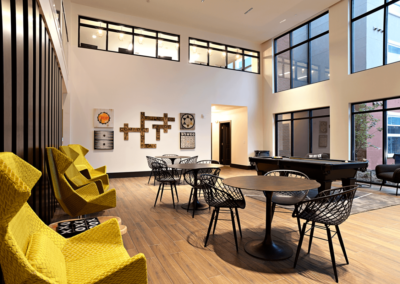 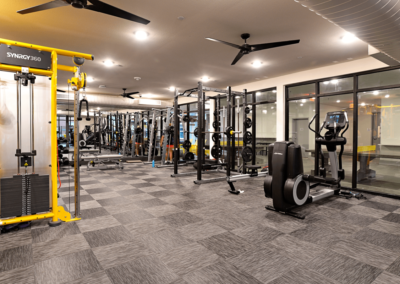 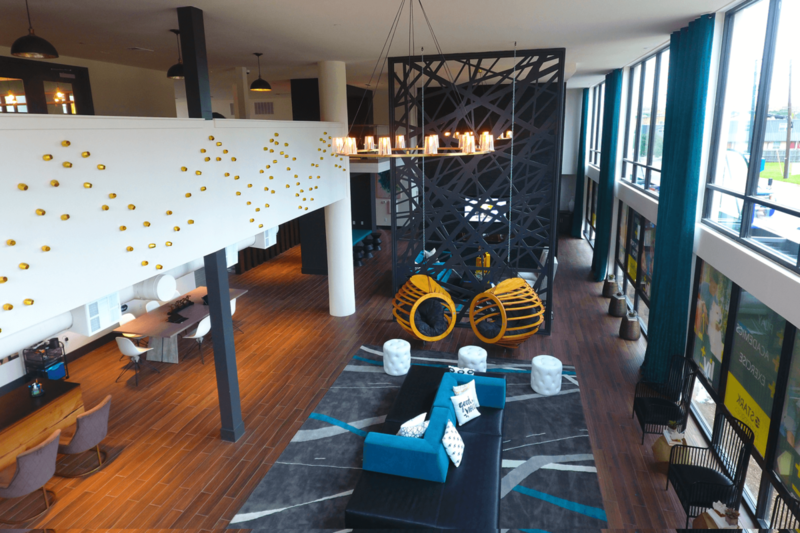 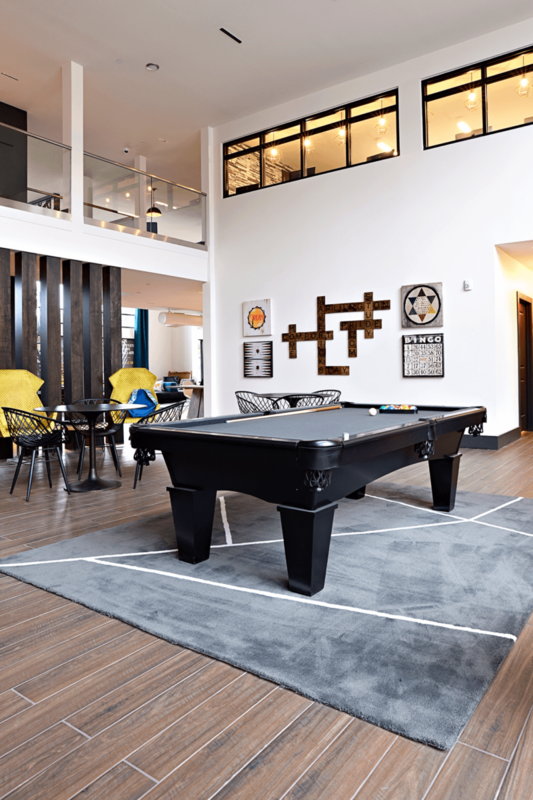 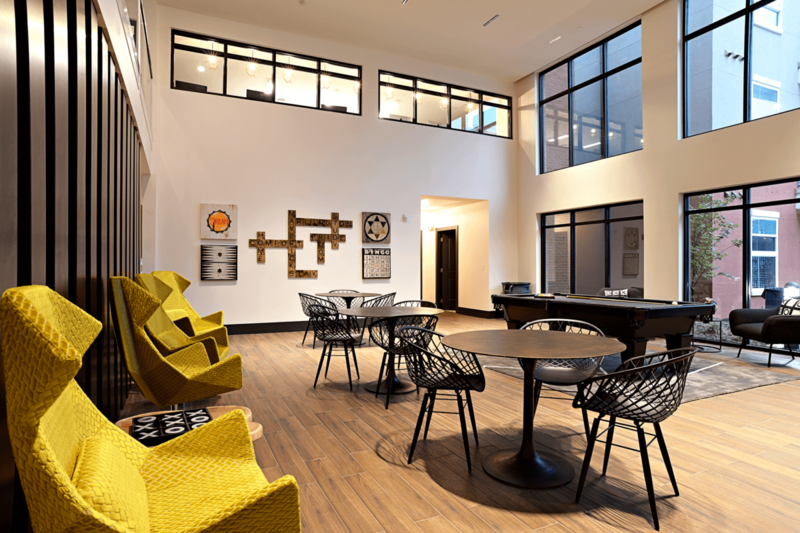 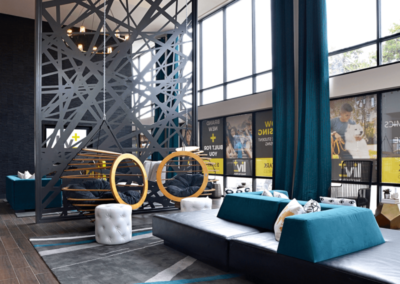 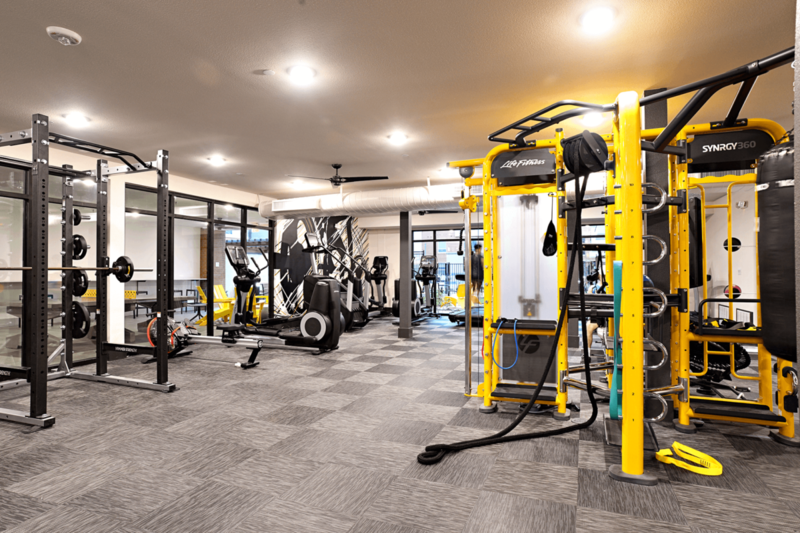 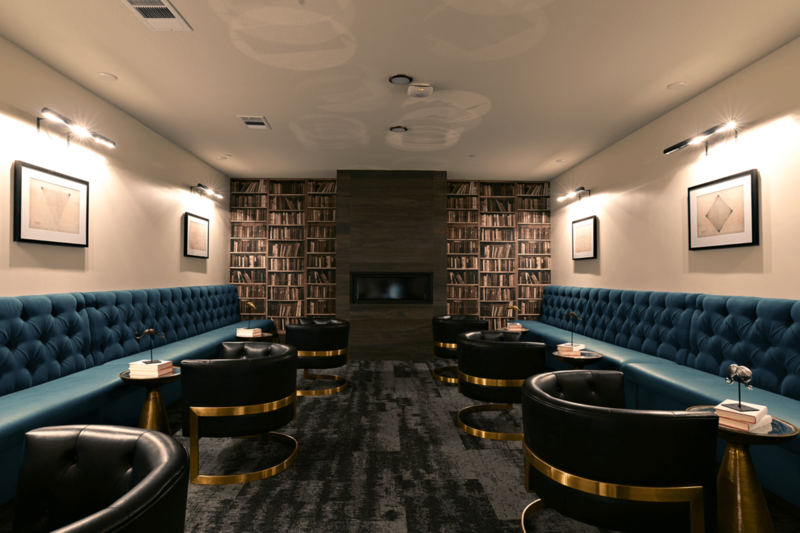 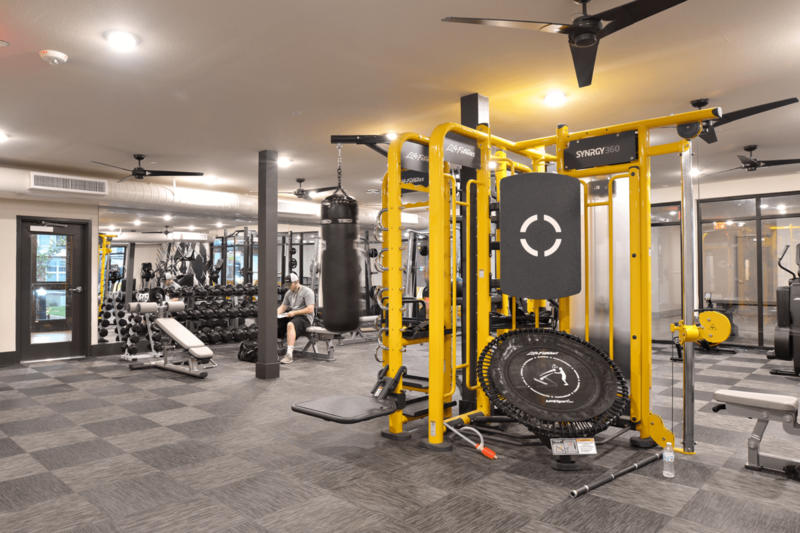 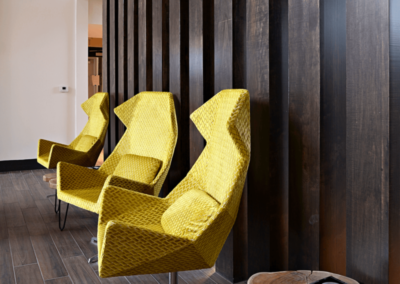 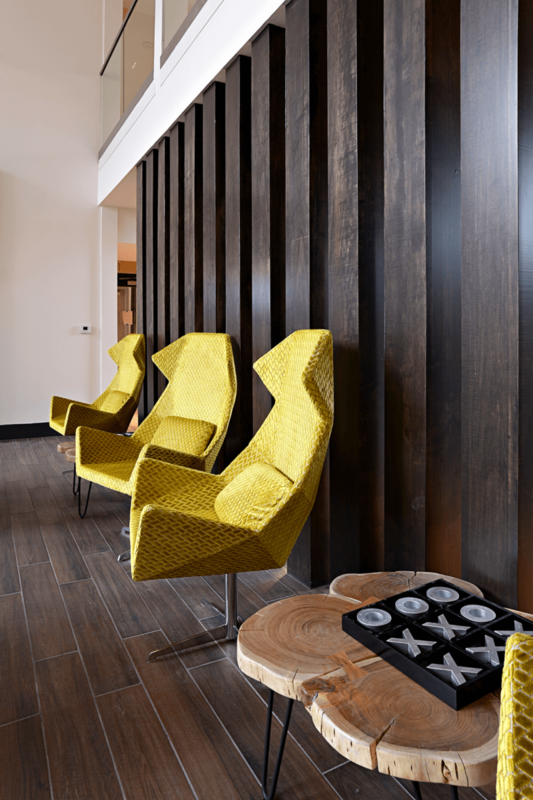 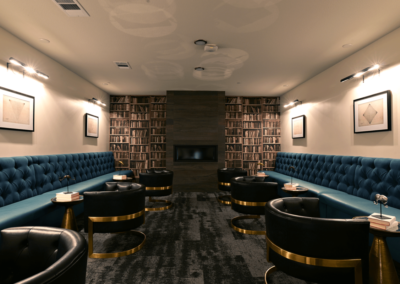 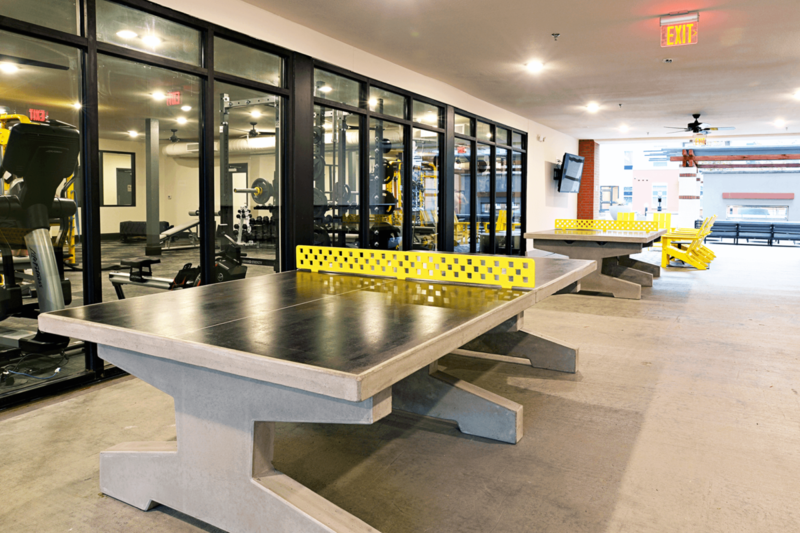 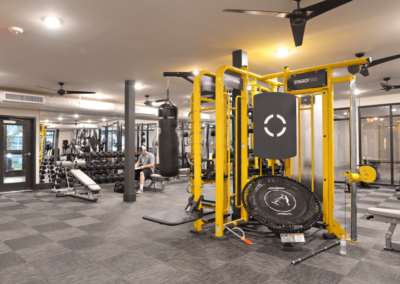 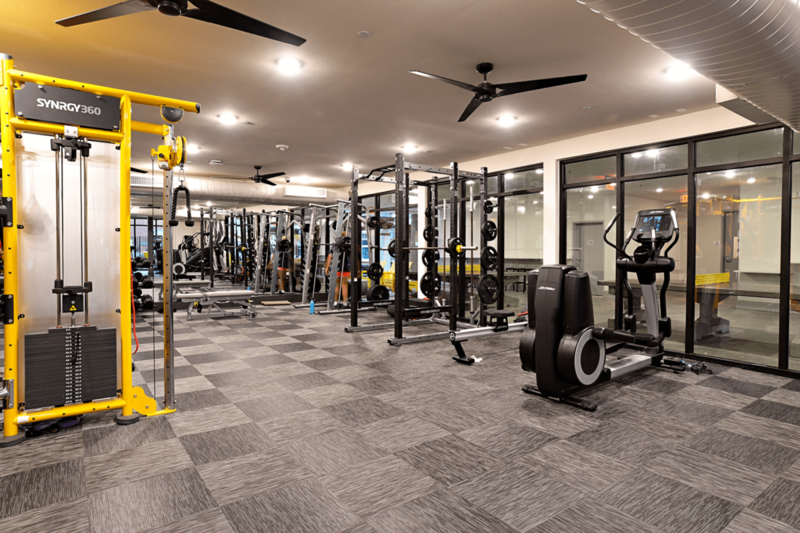 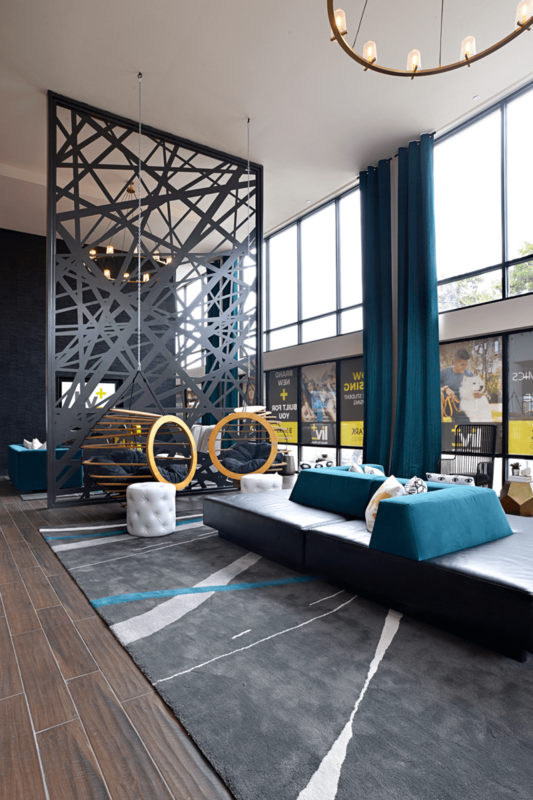 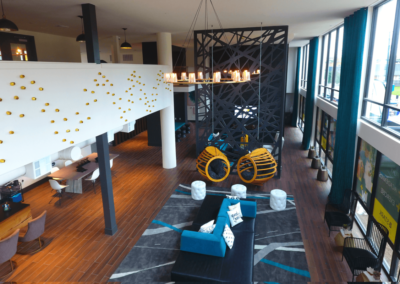 The clubhouse will feature lounge areas and games for residents, and the on-site fitness center will have everything you need to stay in shape. 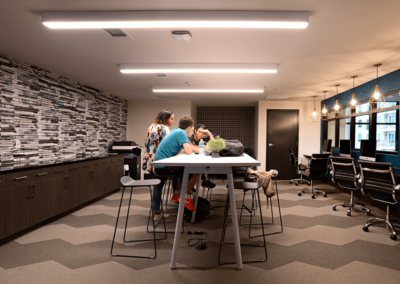 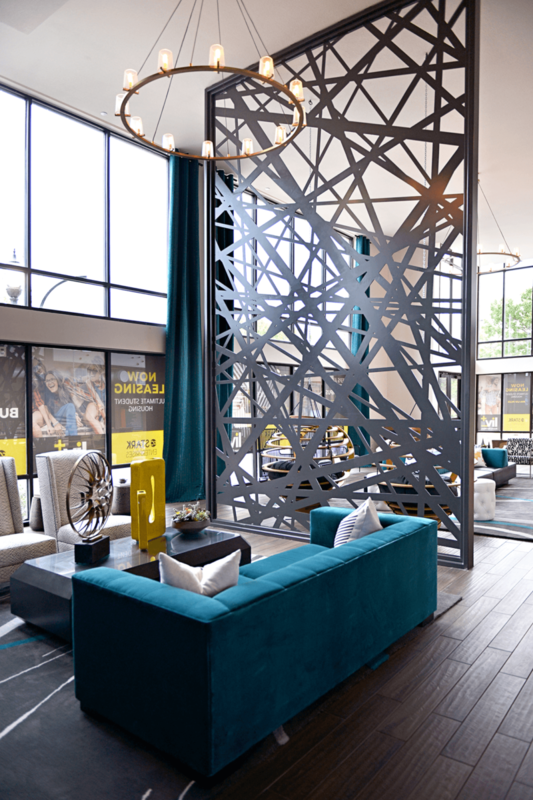 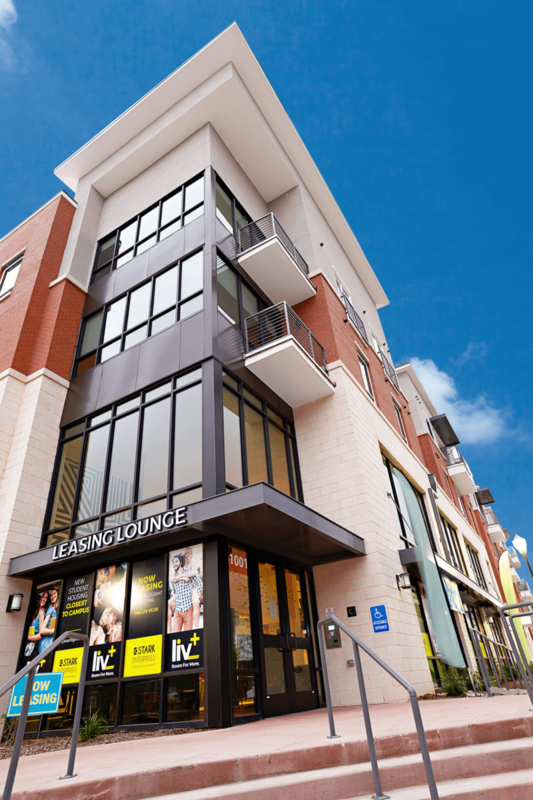 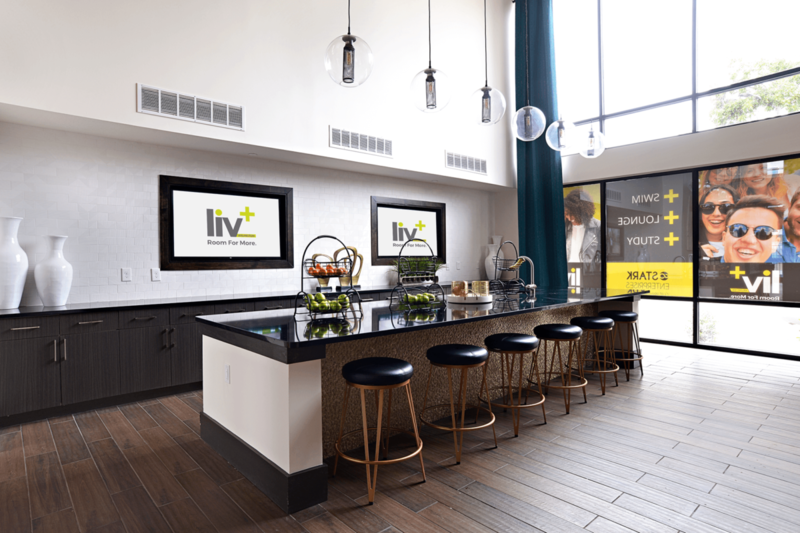 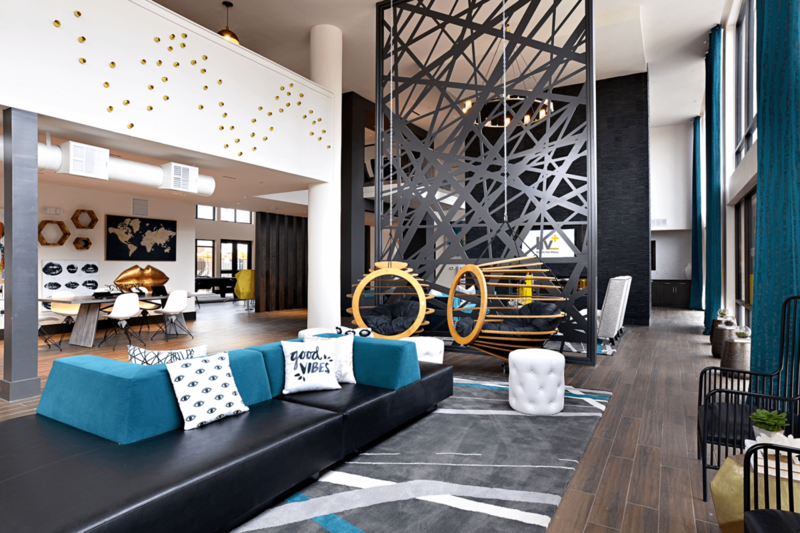 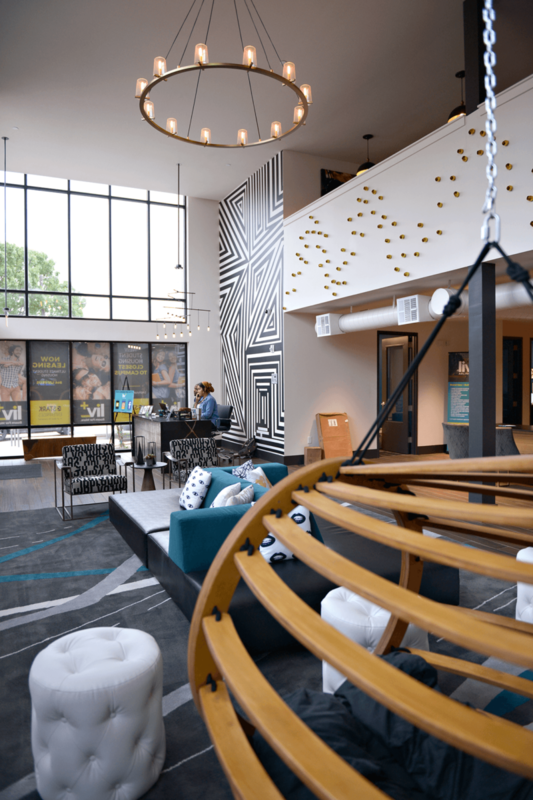 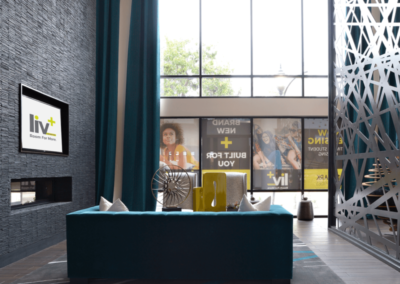 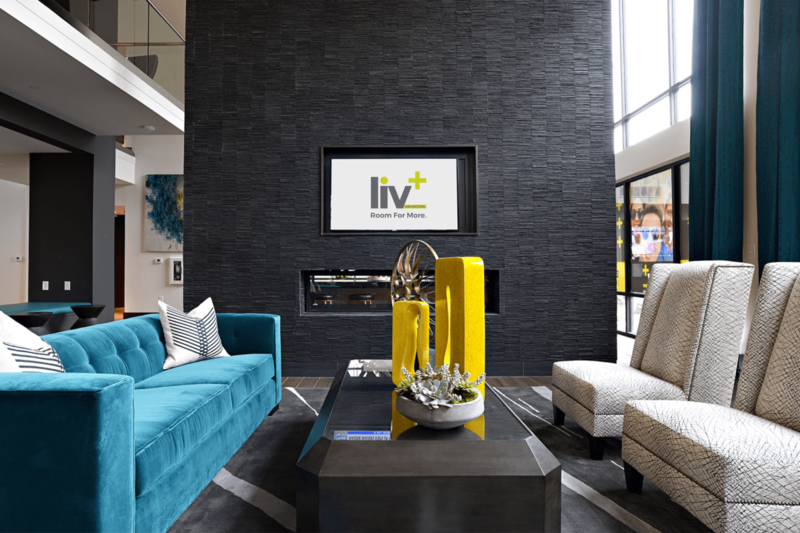 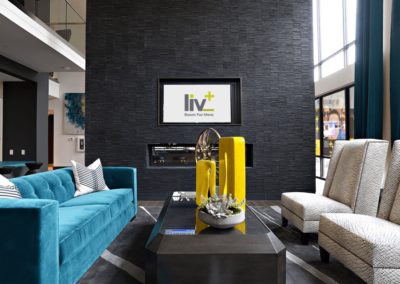 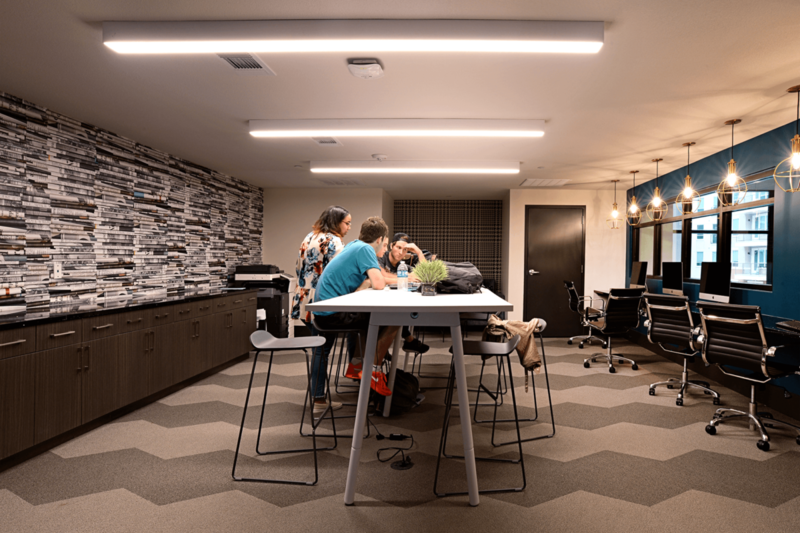 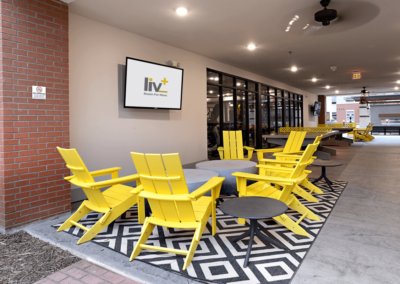 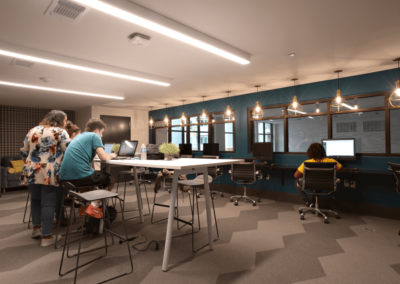 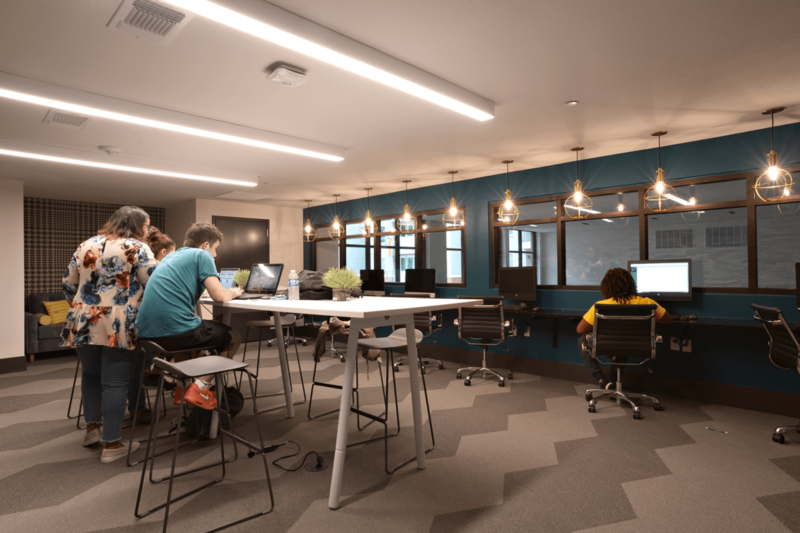 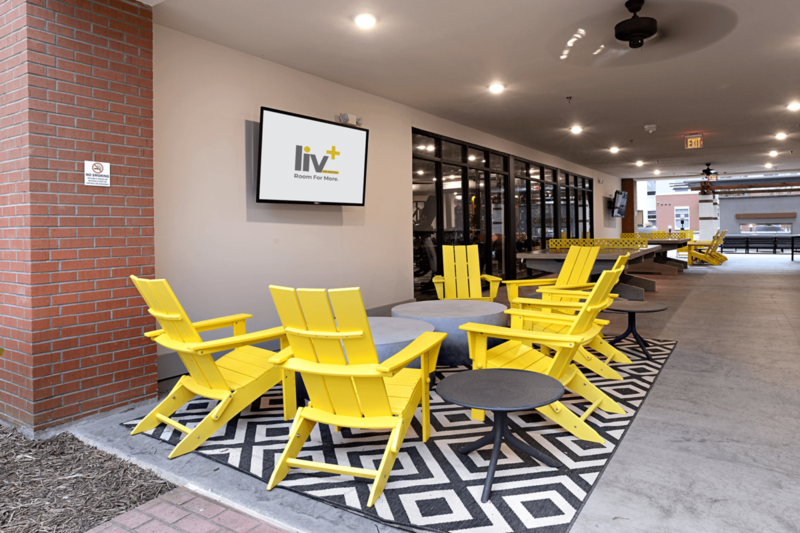 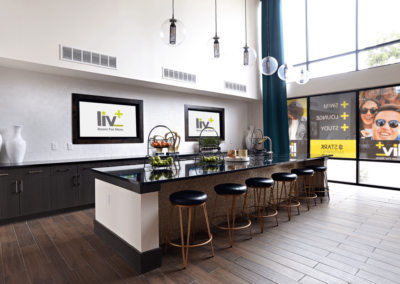 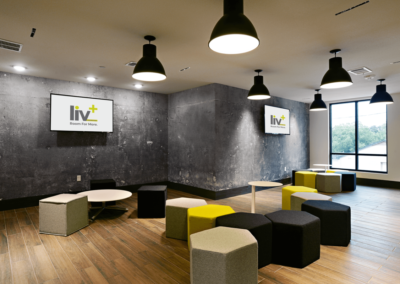 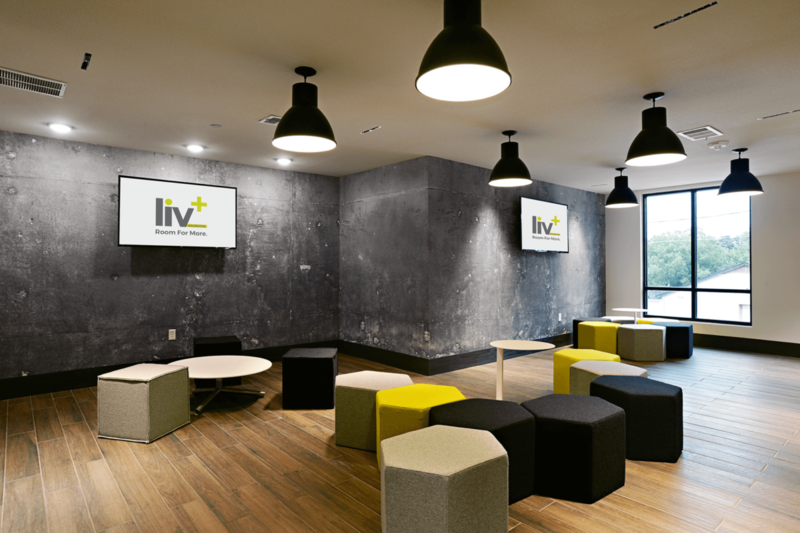 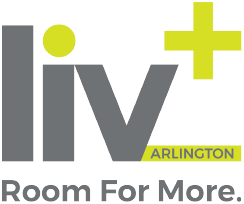 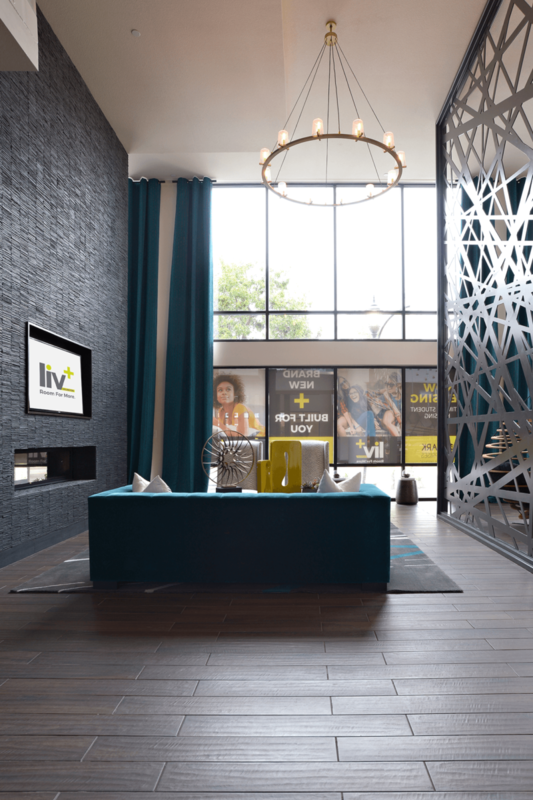 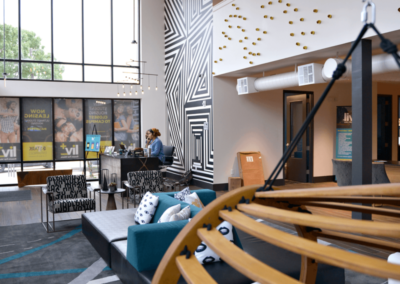 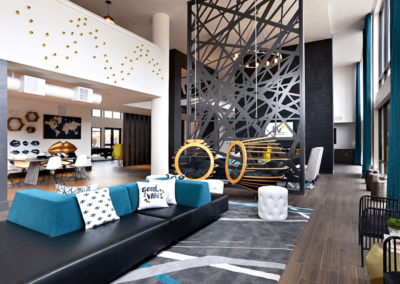 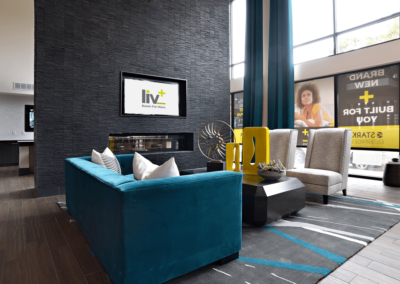 Sign your lease online today, or stop by to talk to our team and see for yourself all that Liv+ has to offer!